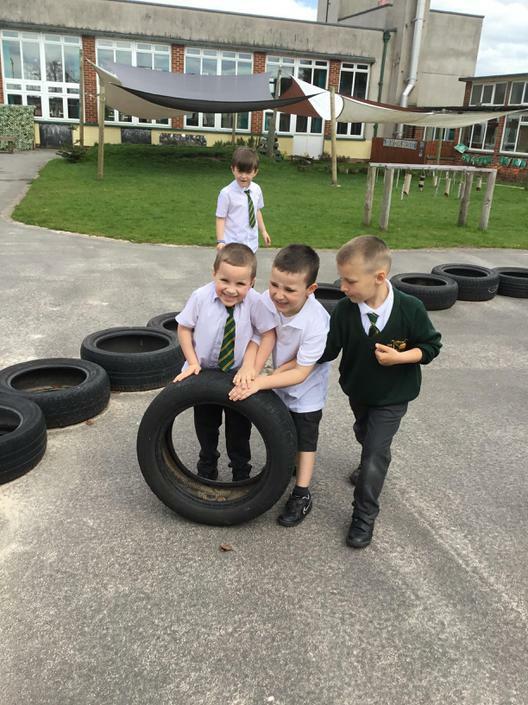 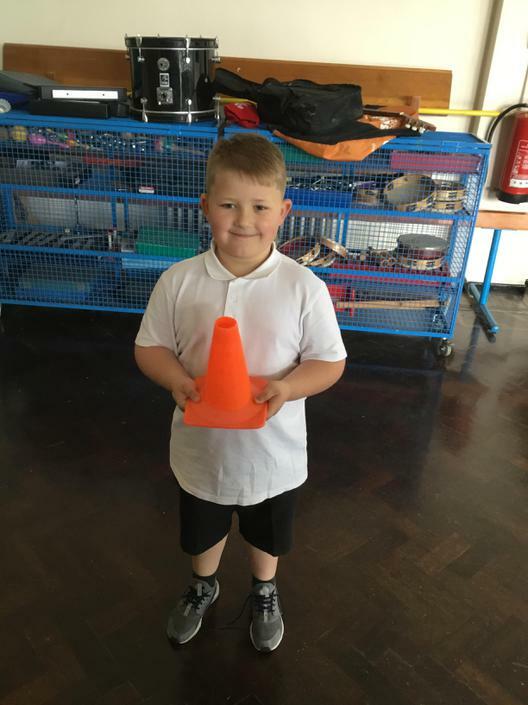 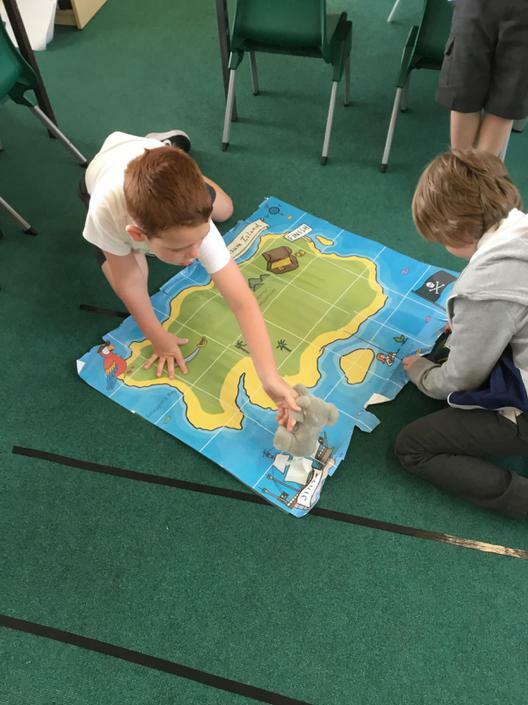 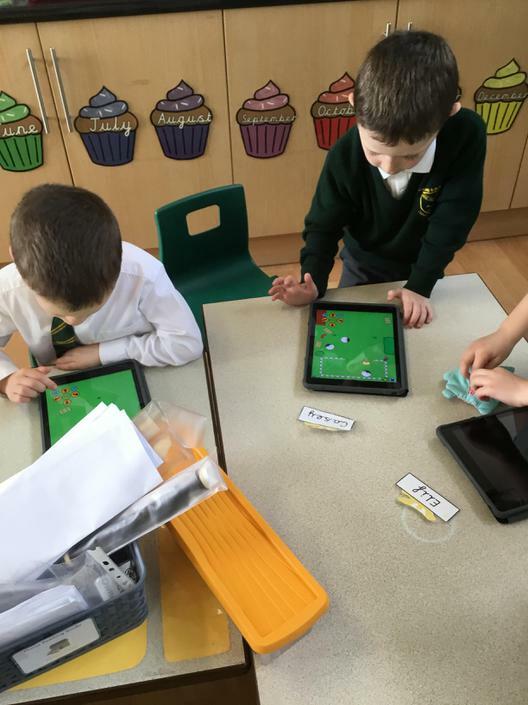 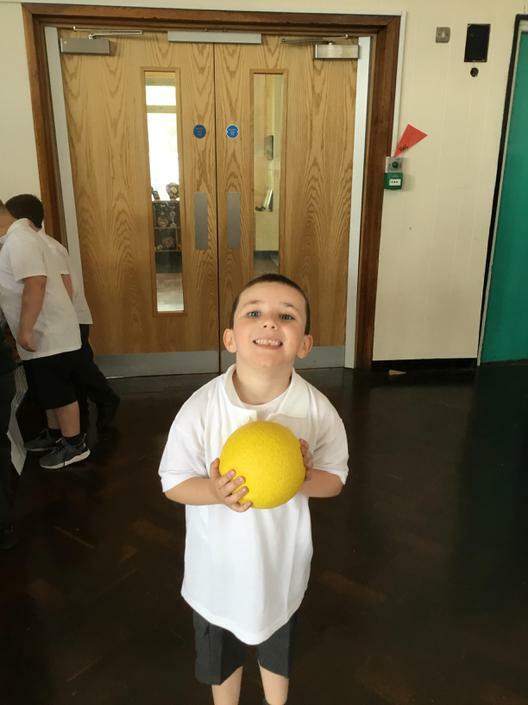 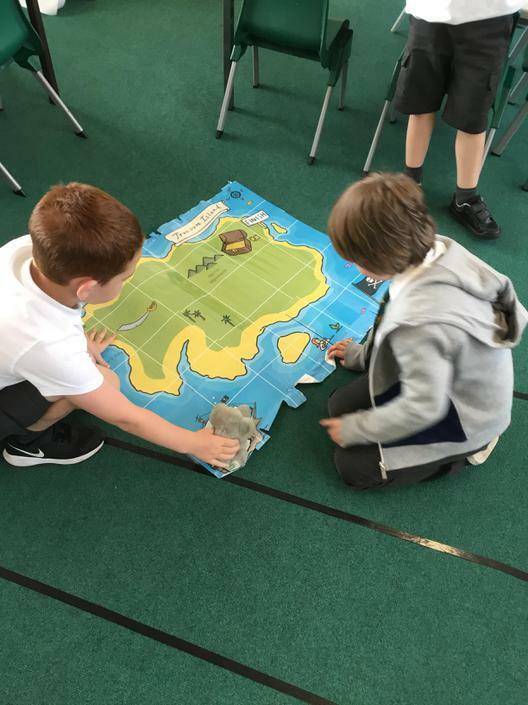 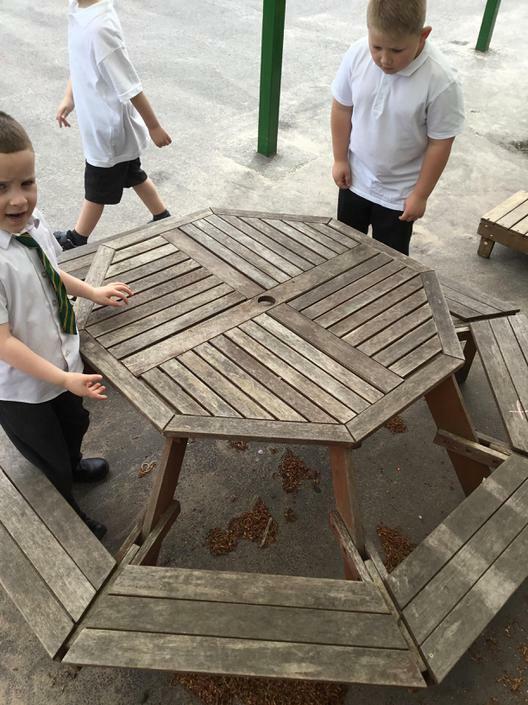 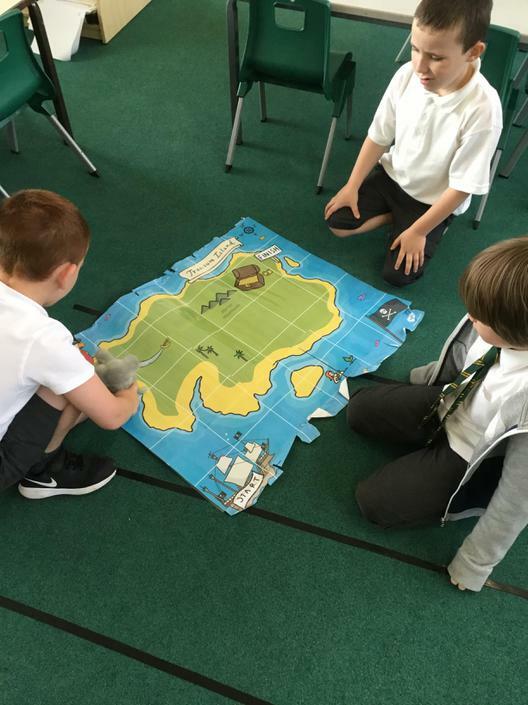 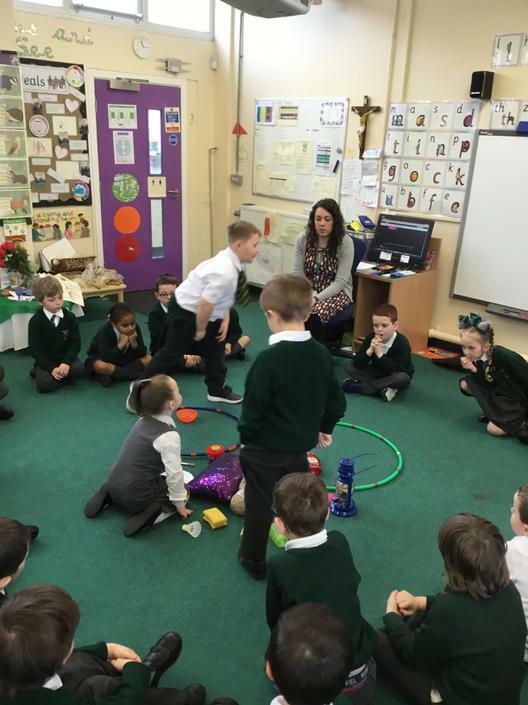 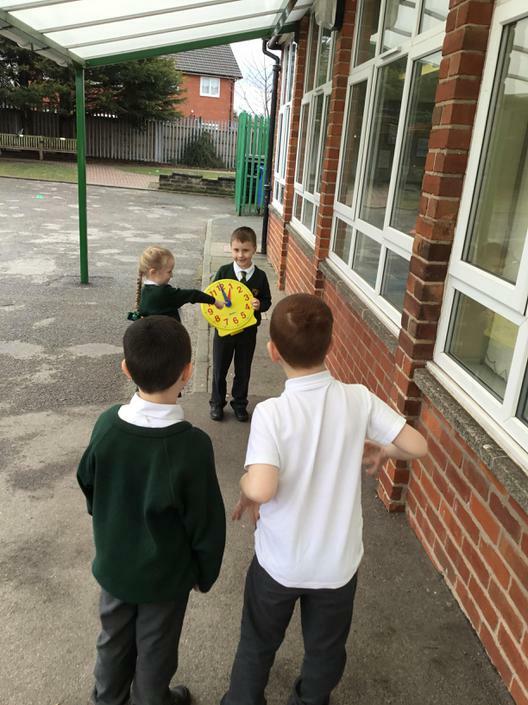 We have enjoyed learning about position and direction through lots of practical games and activities. 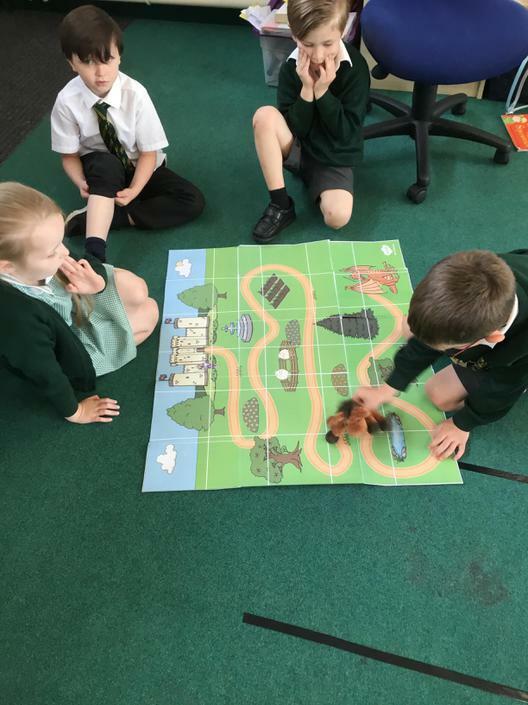 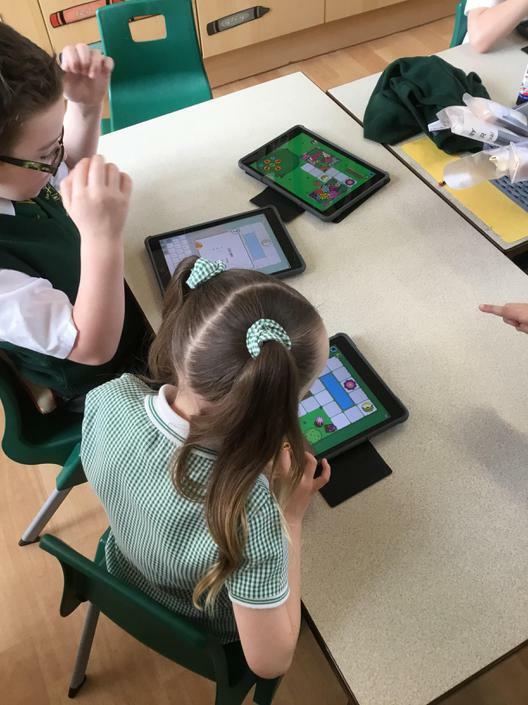 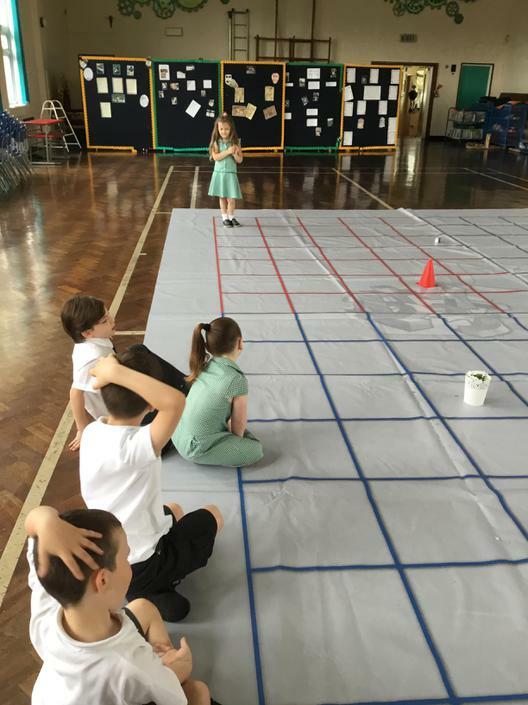 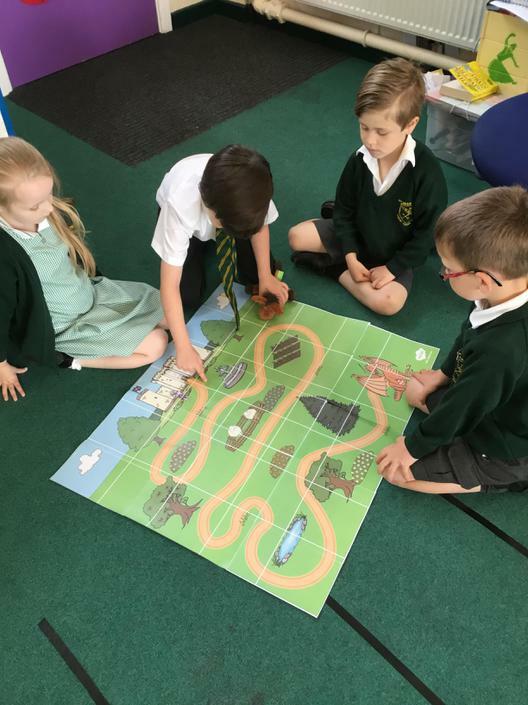 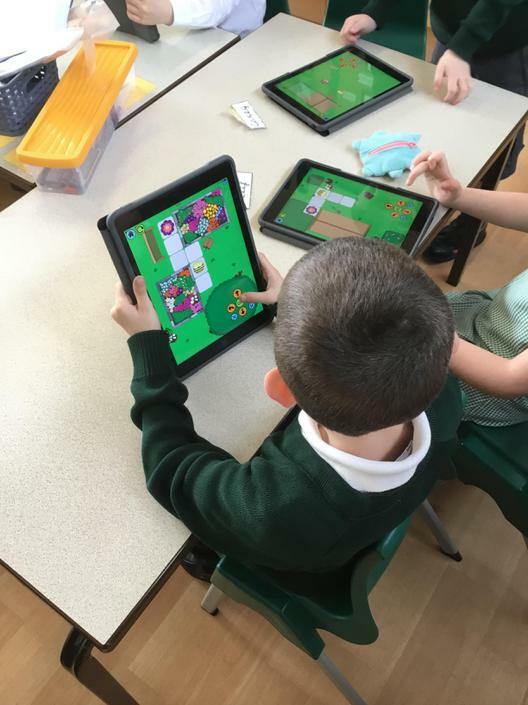 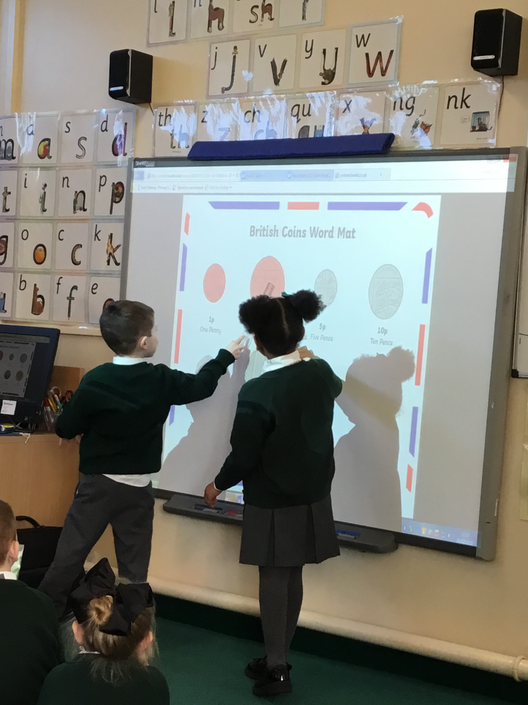 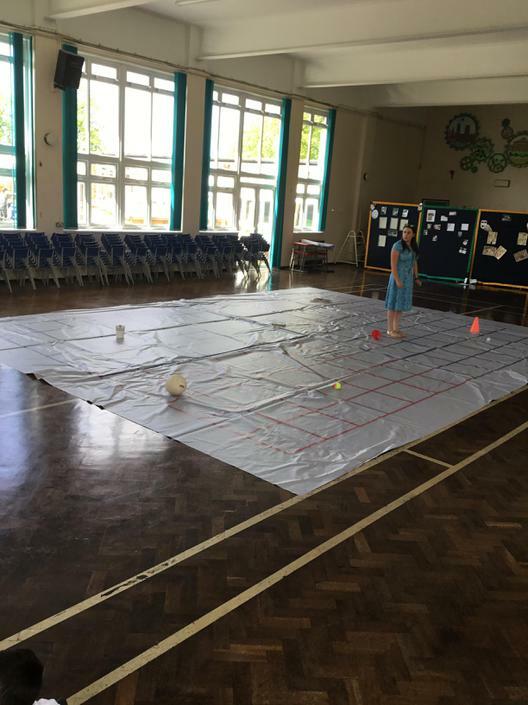 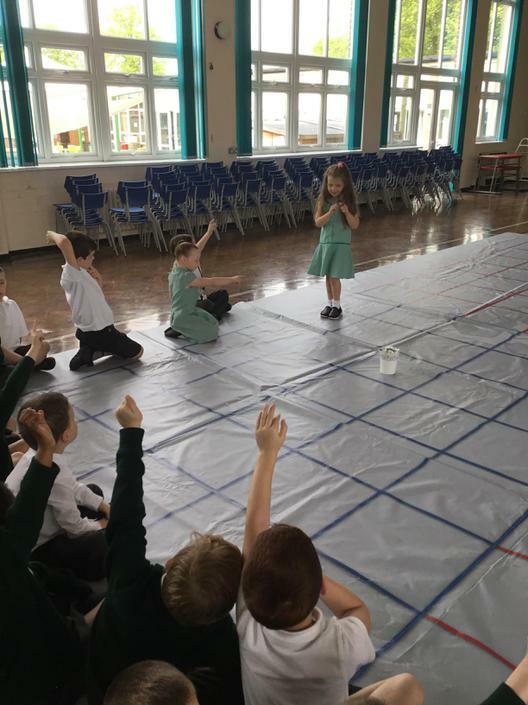 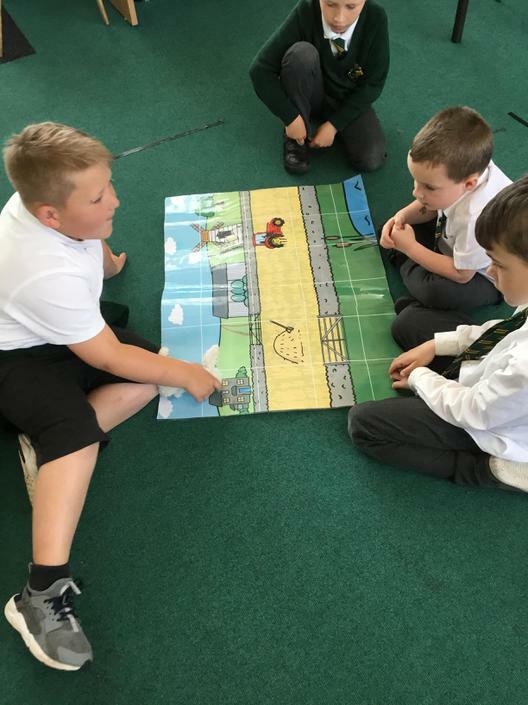 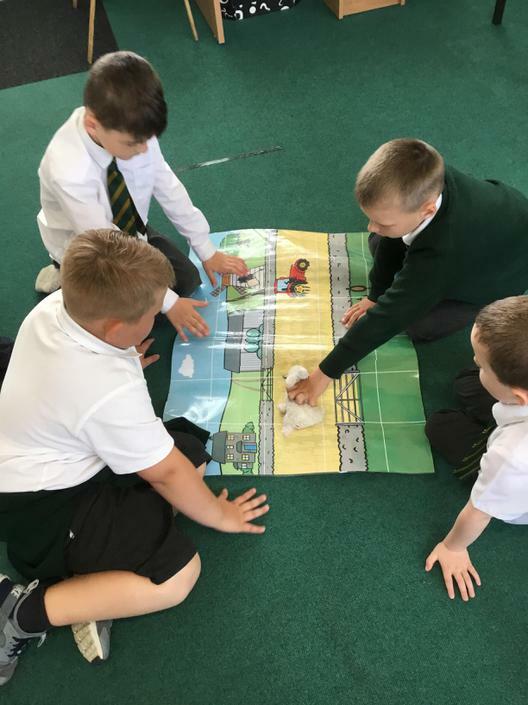 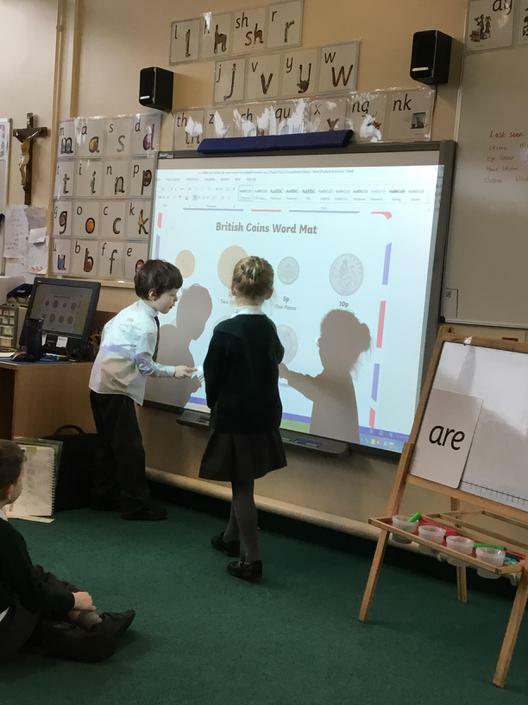 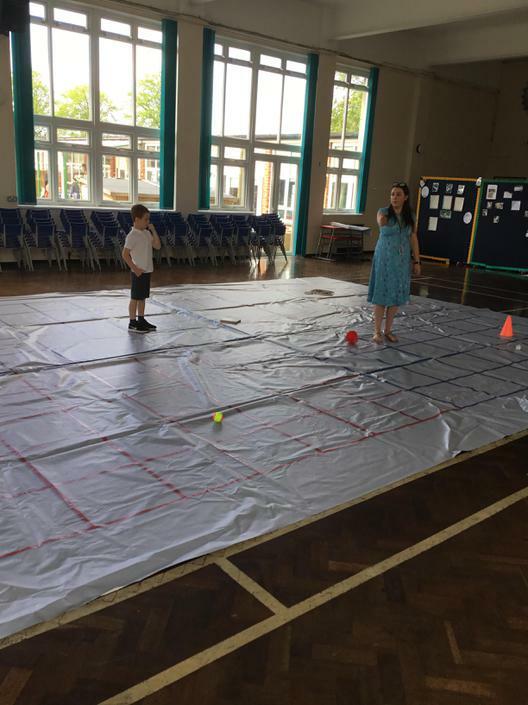 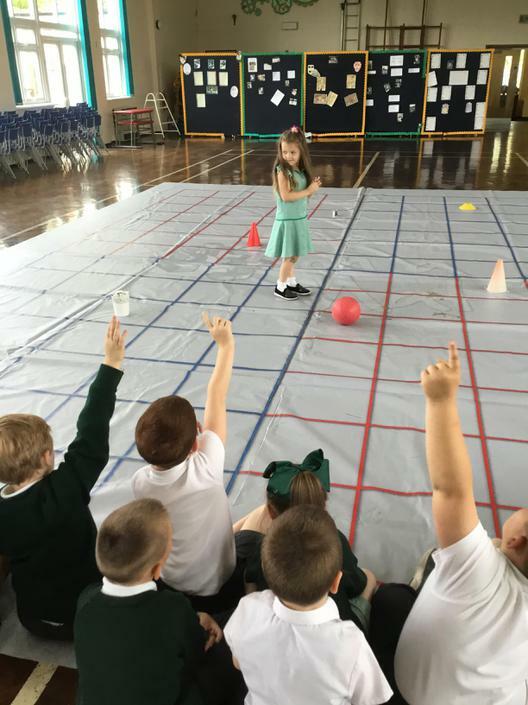 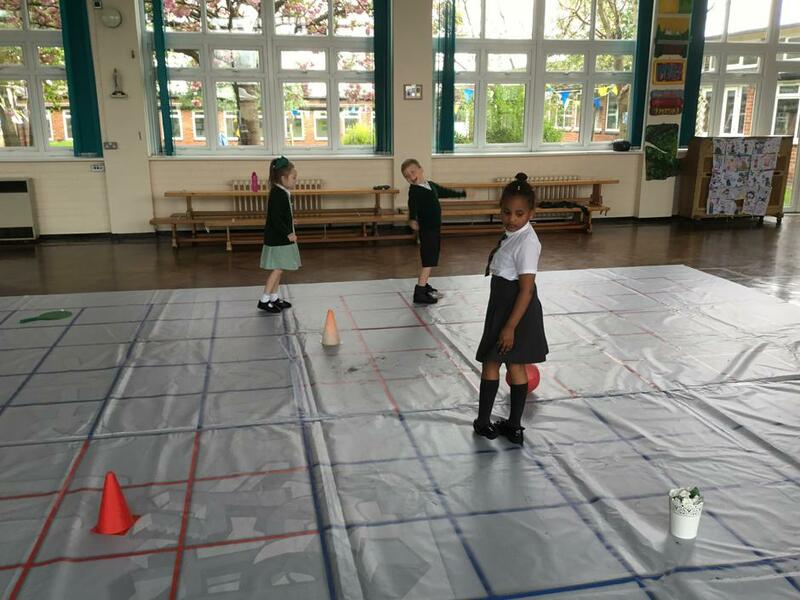 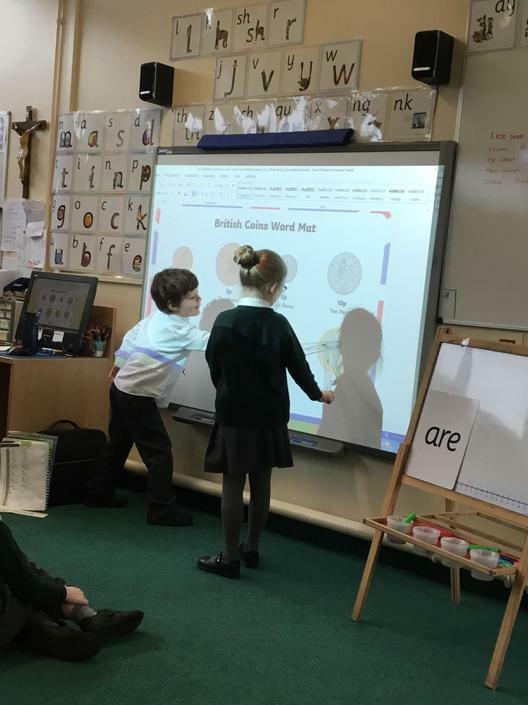 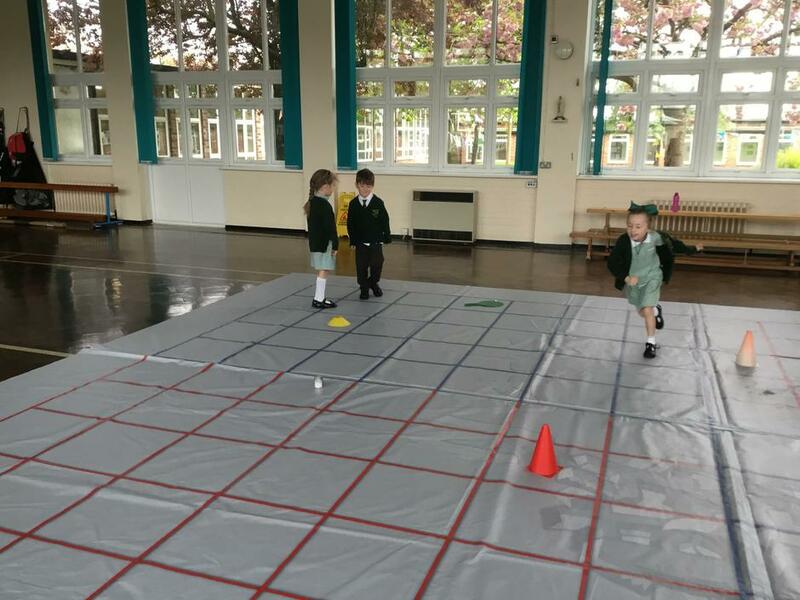 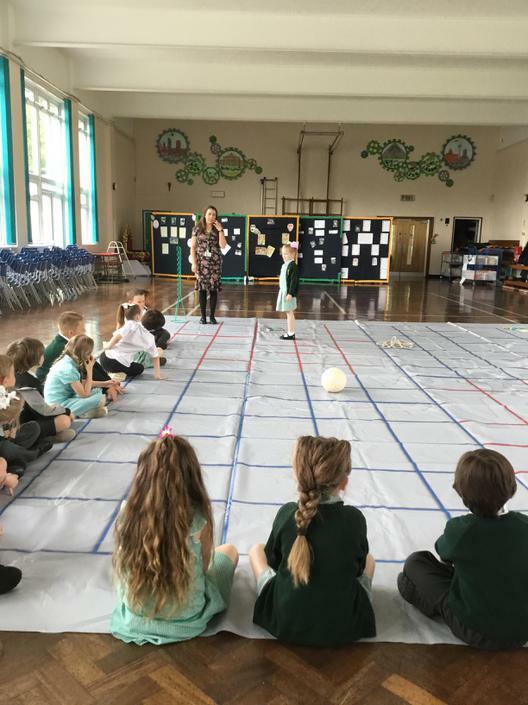 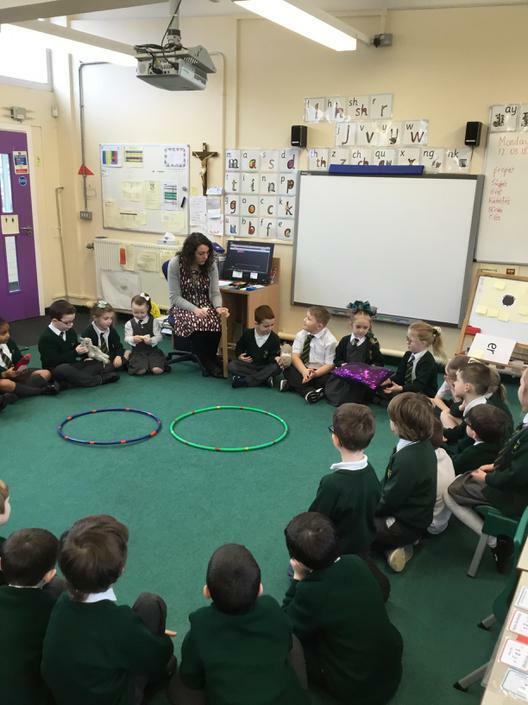 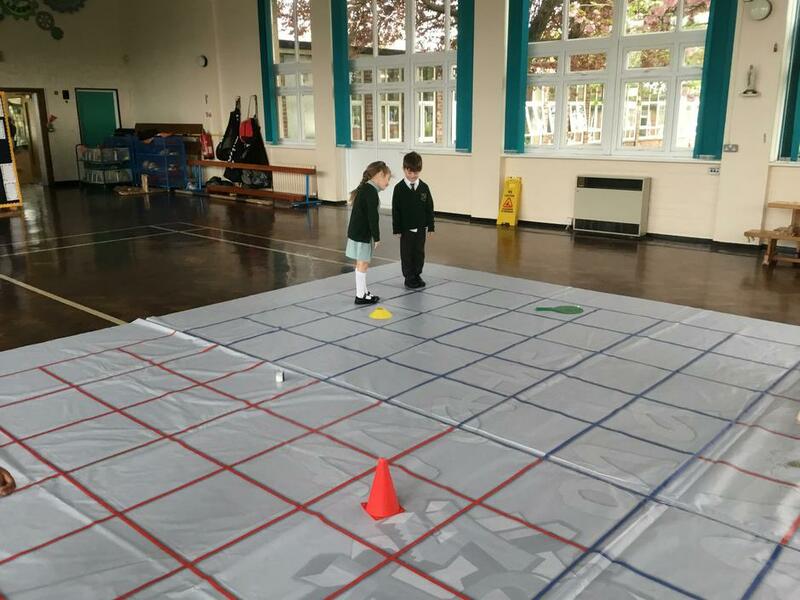 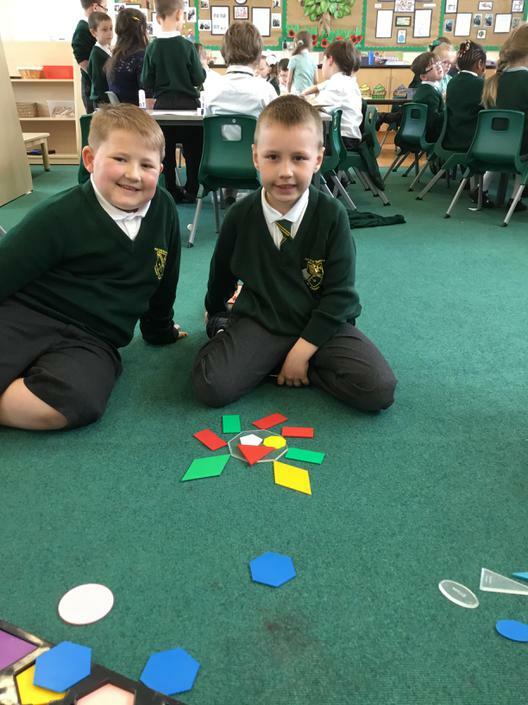 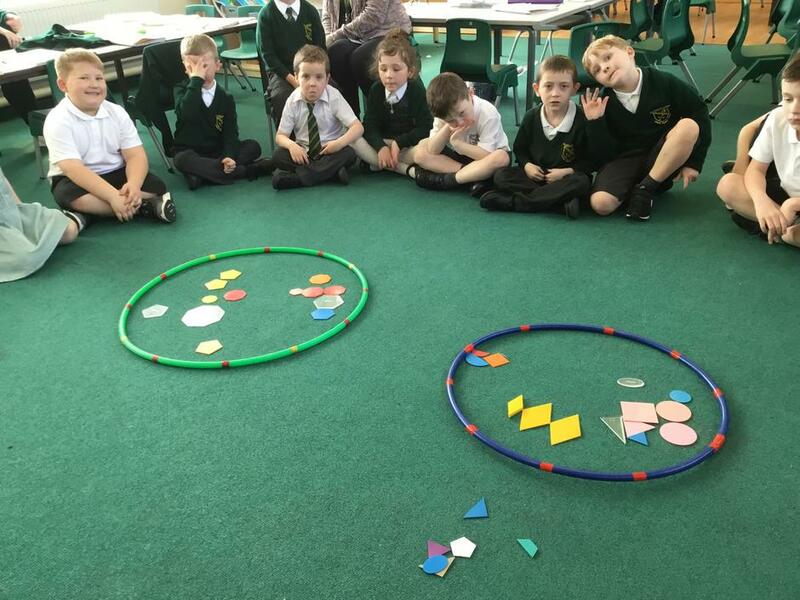 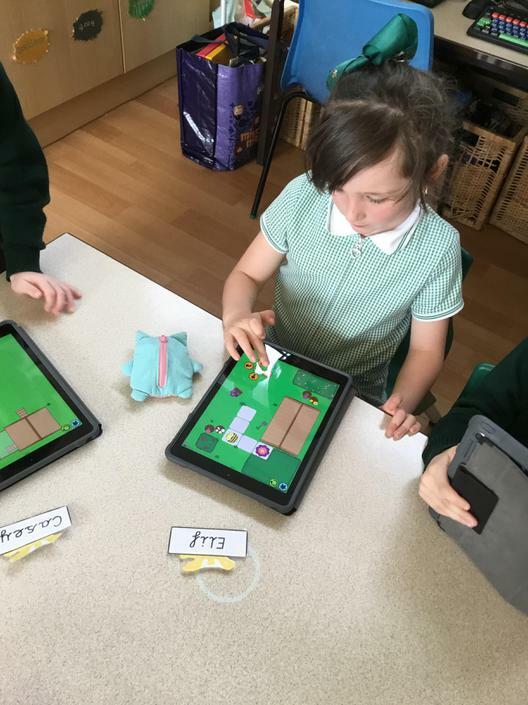 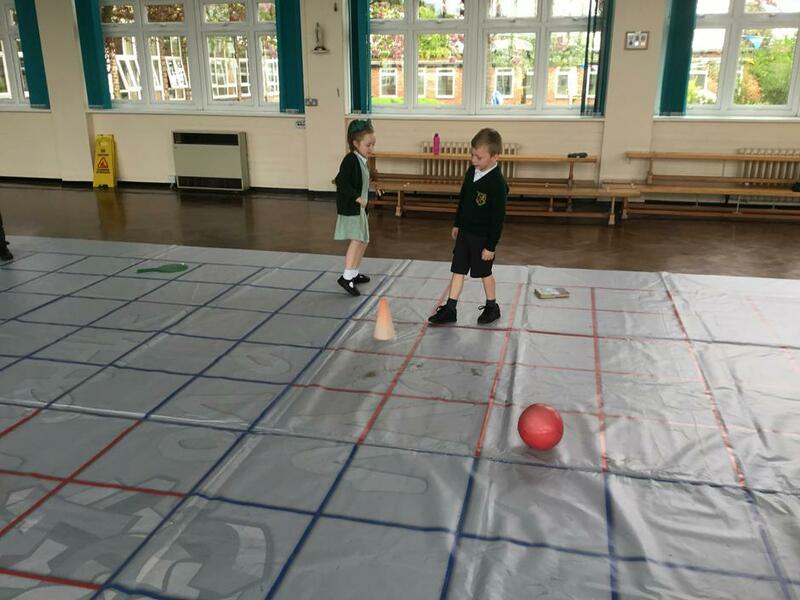 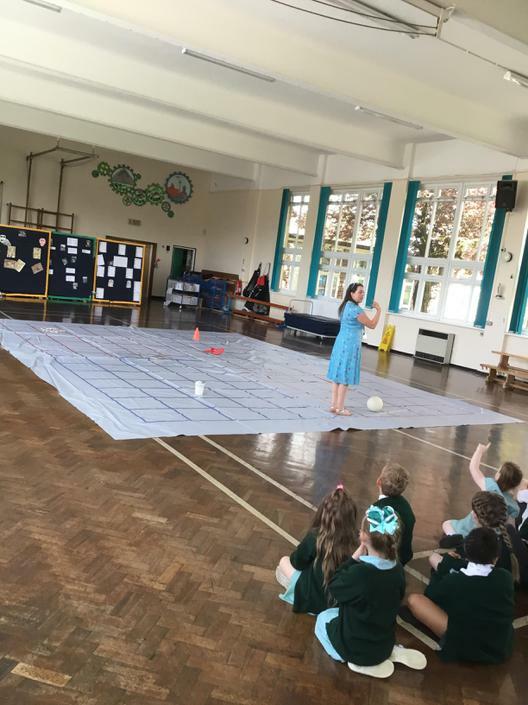 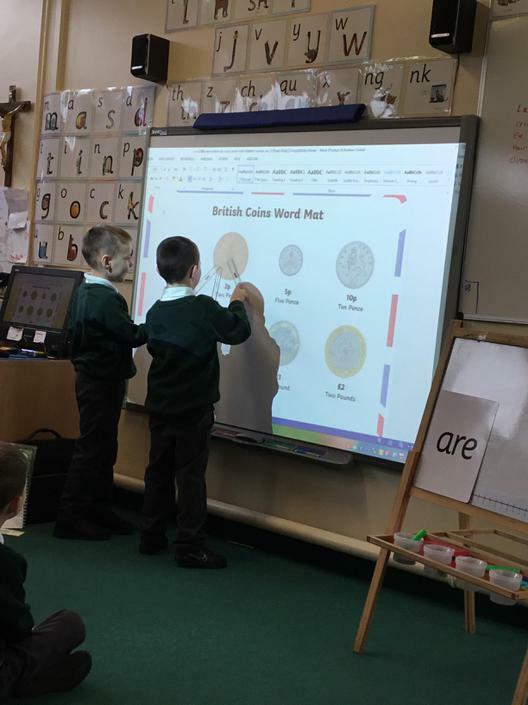 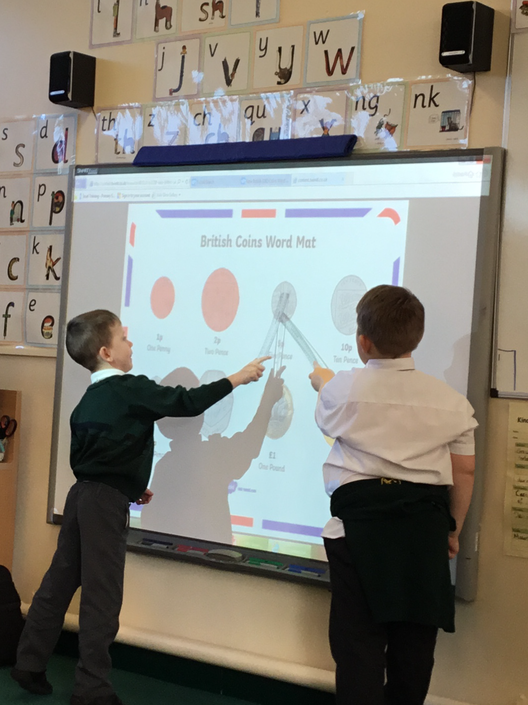 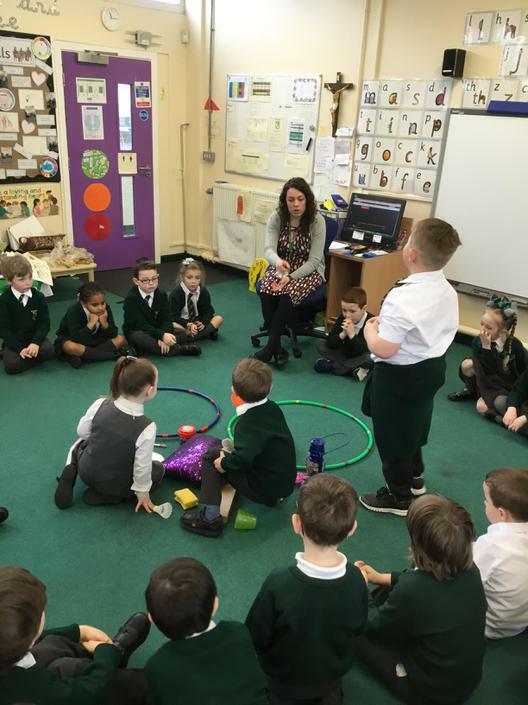 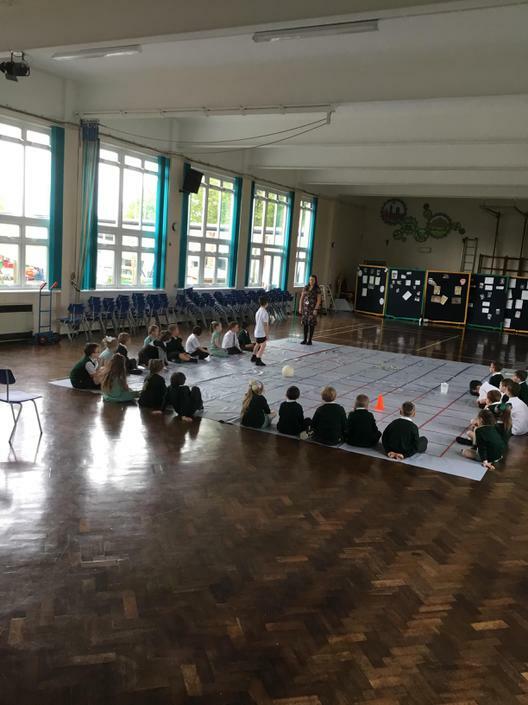 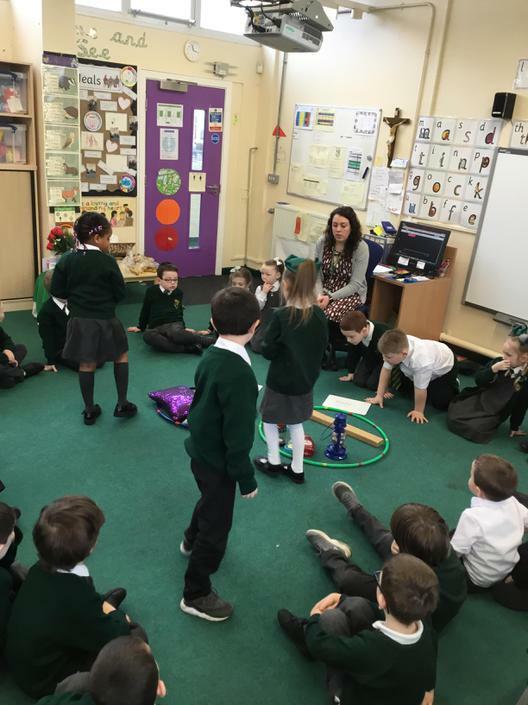 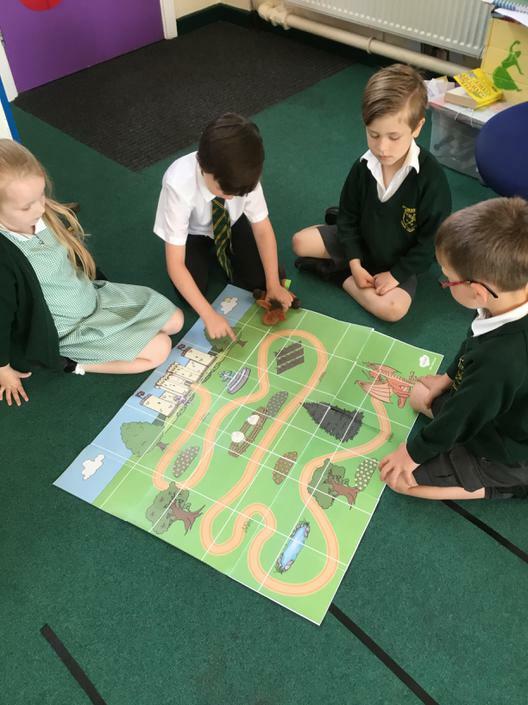 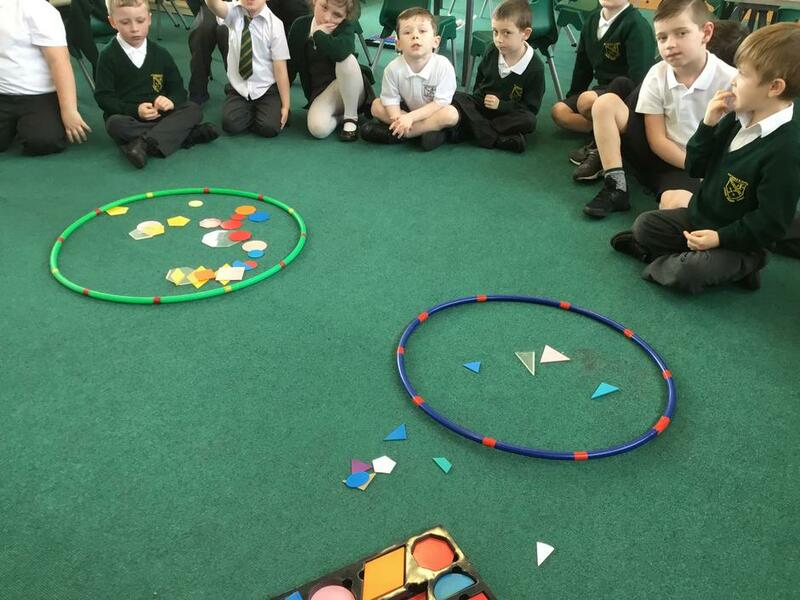 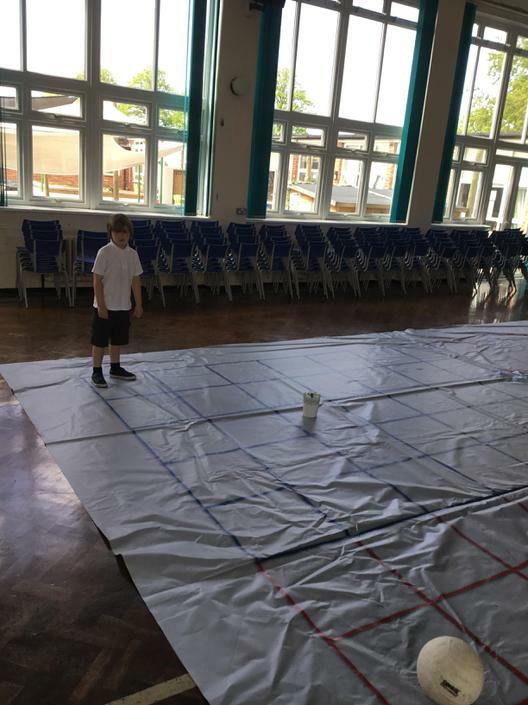 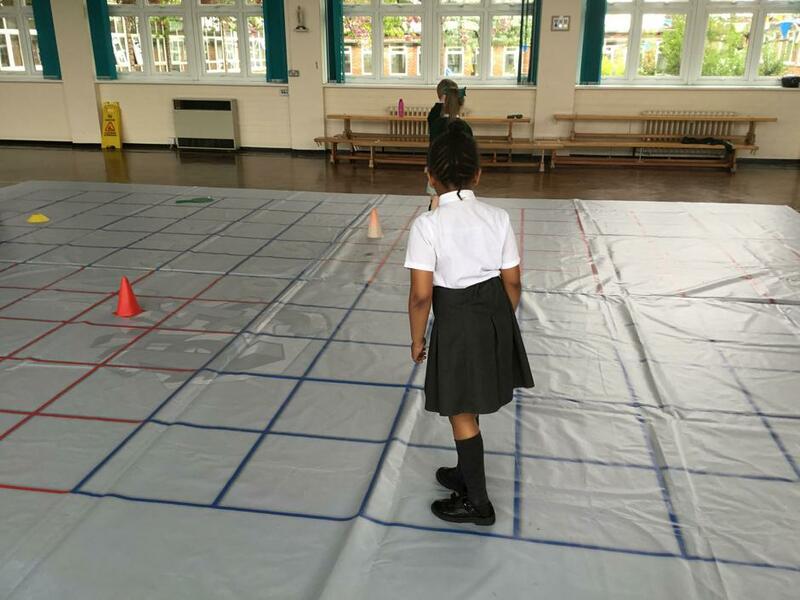 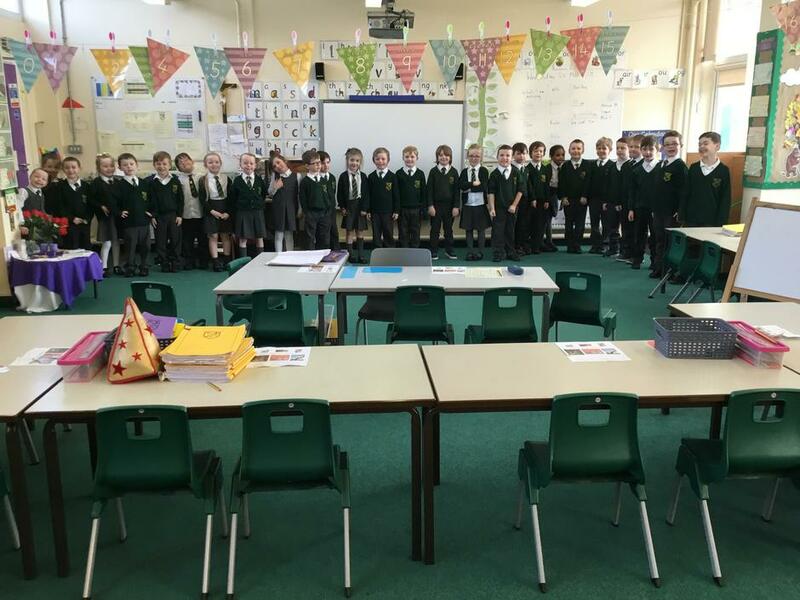 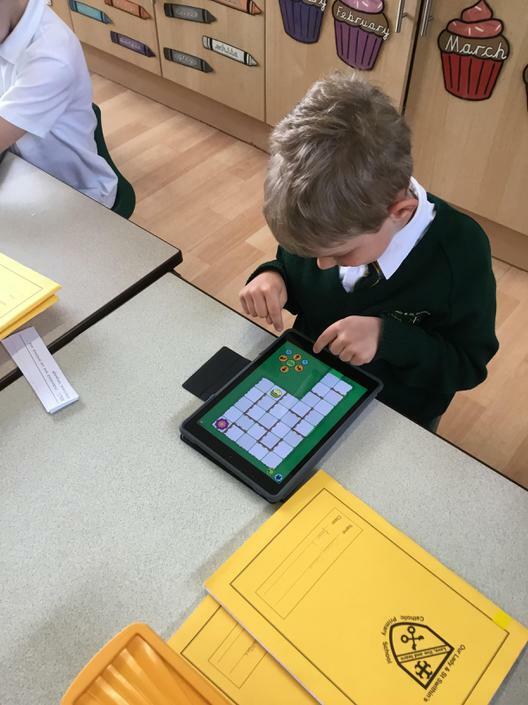 We have used beebots, maps and the enormous maths mat to learn about left and right, forwards and backwards, and lots of other mathematical vocabulary. 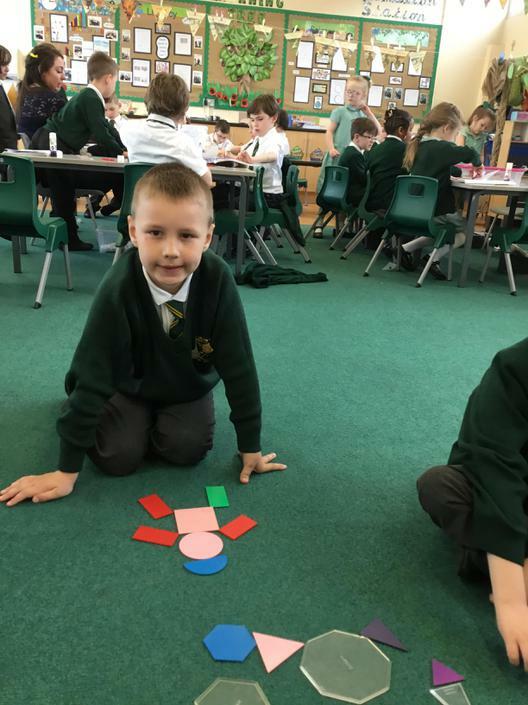 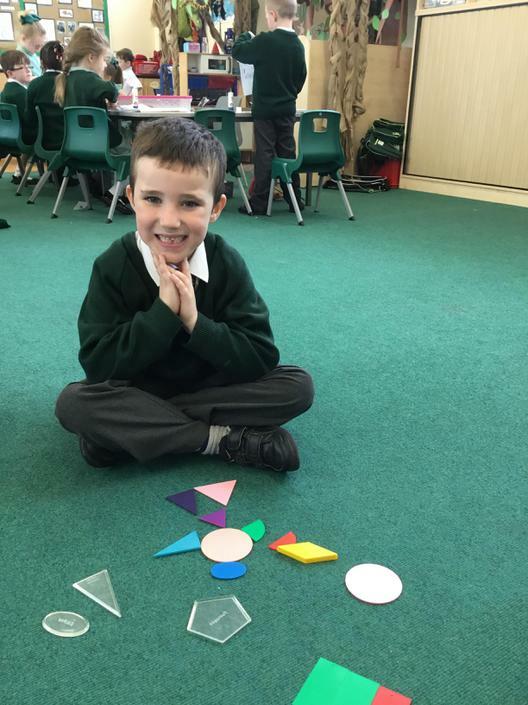 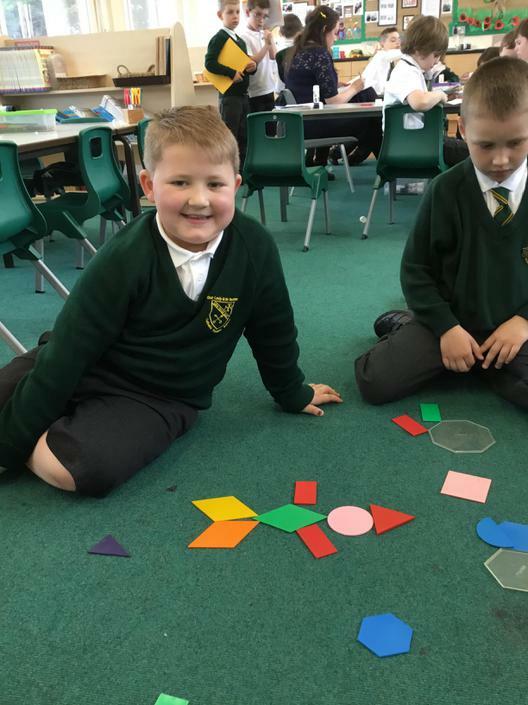 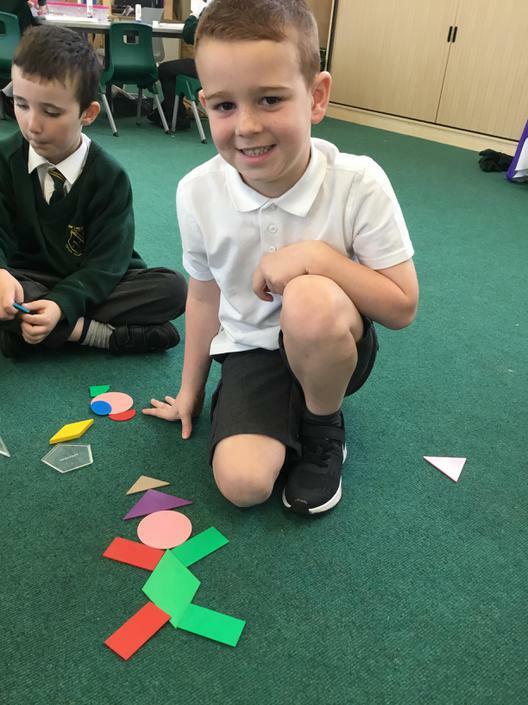 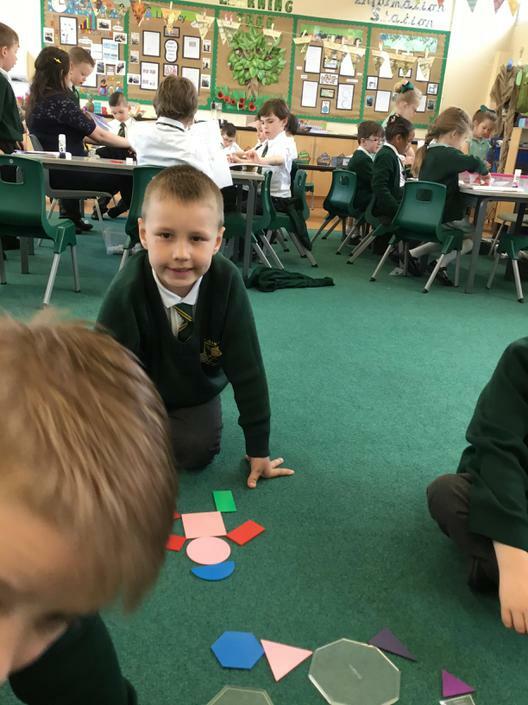 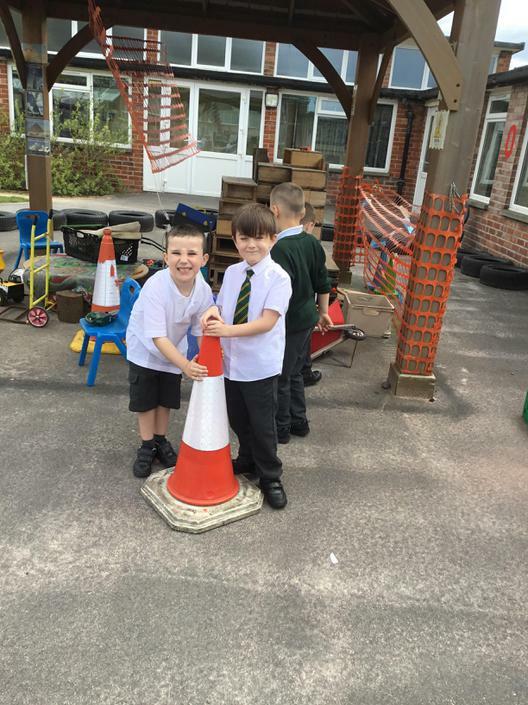 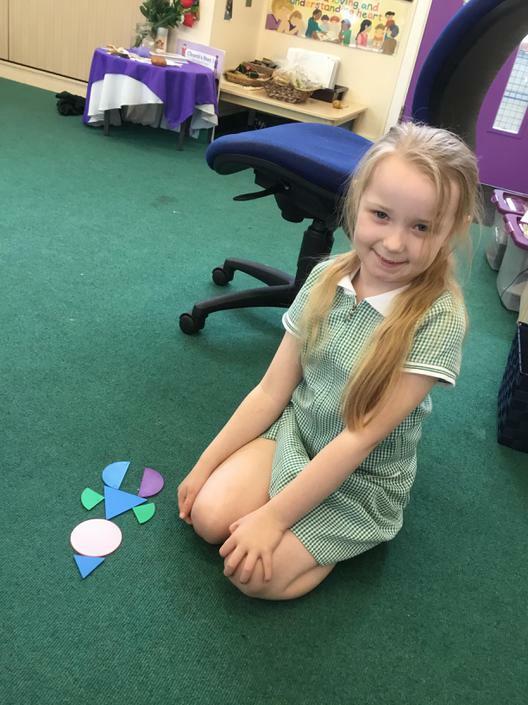 We have been exploring shape! 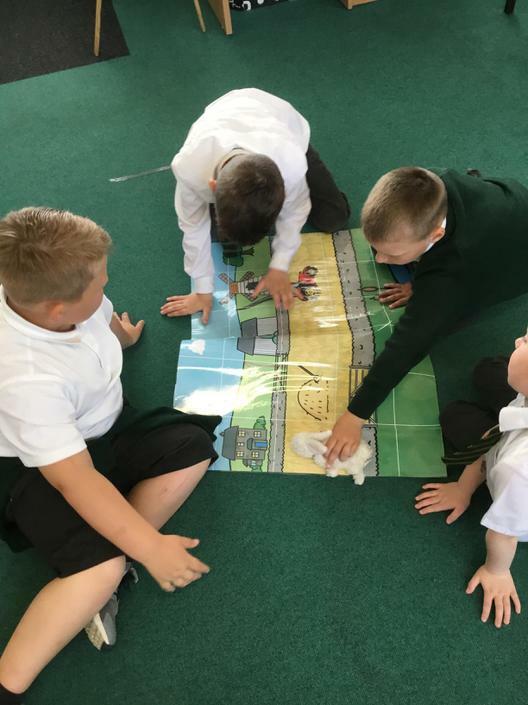 We looked for shapes in the environment, made our own shape pictures, and have been able to identify sides, corners, edges and faces. 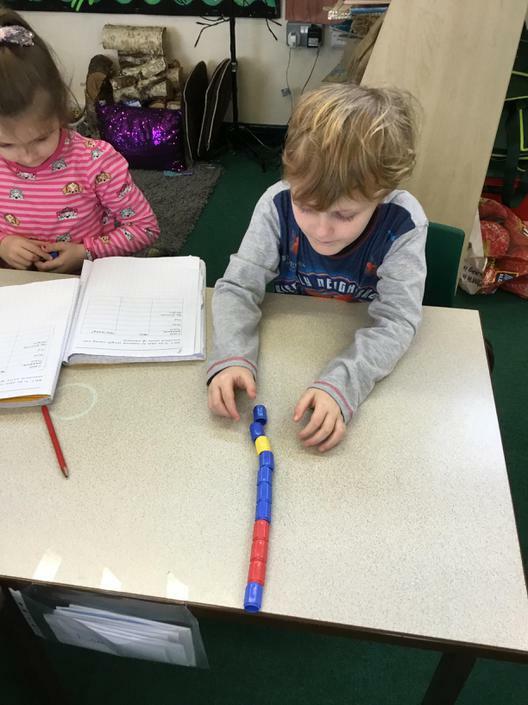 We have begun to learn about length. 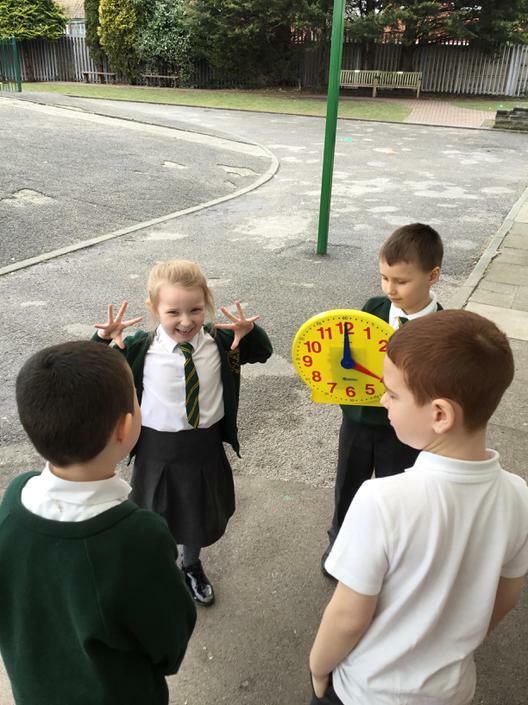 We explored measuring length in different ways, such as our hand span, cubes and foot length. 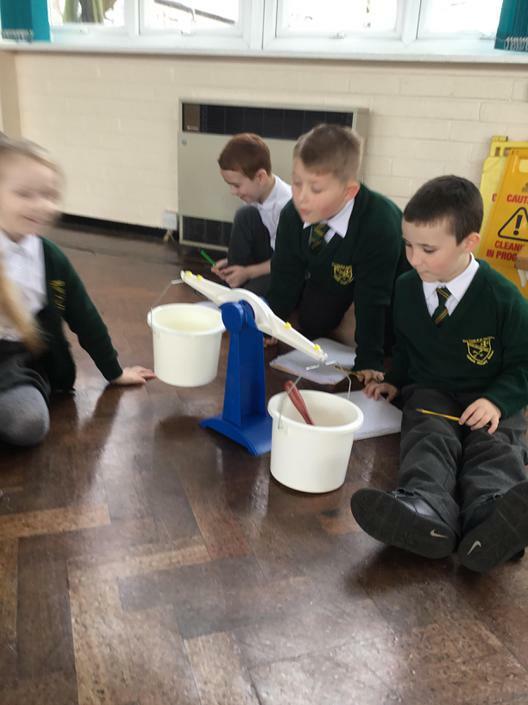 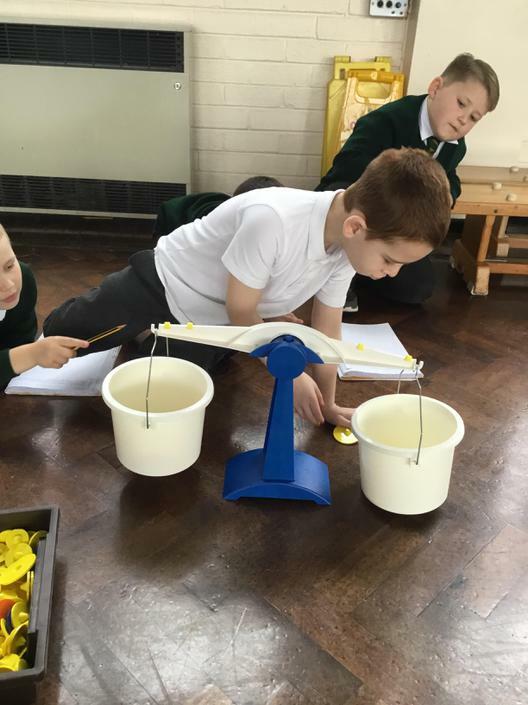 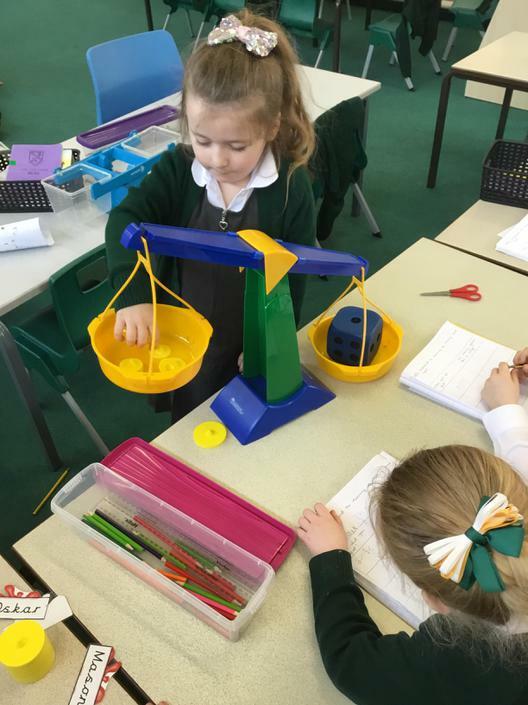 Just like when we were exploring weight, we decided we could have a fairer measurement when using a standard measure. 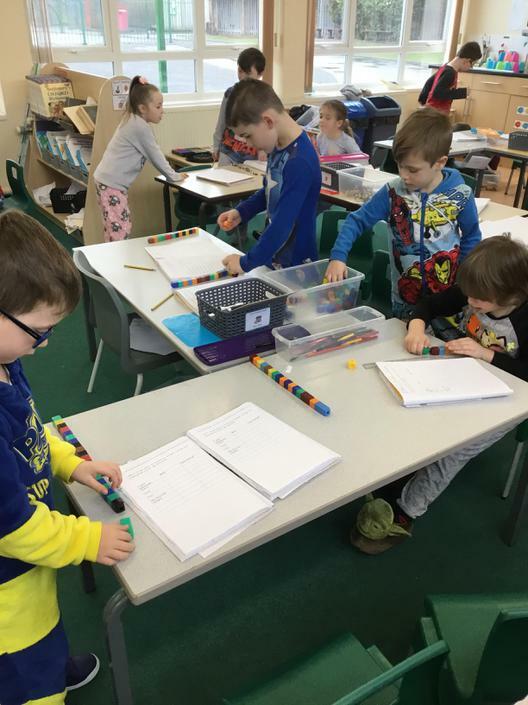 We explored measuring using centimetres and metres. 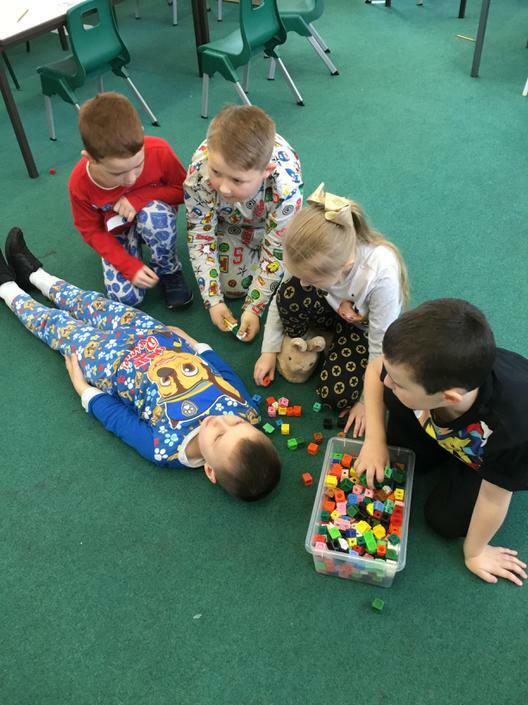 We had lots of fun measuring each other, and even our teachers! 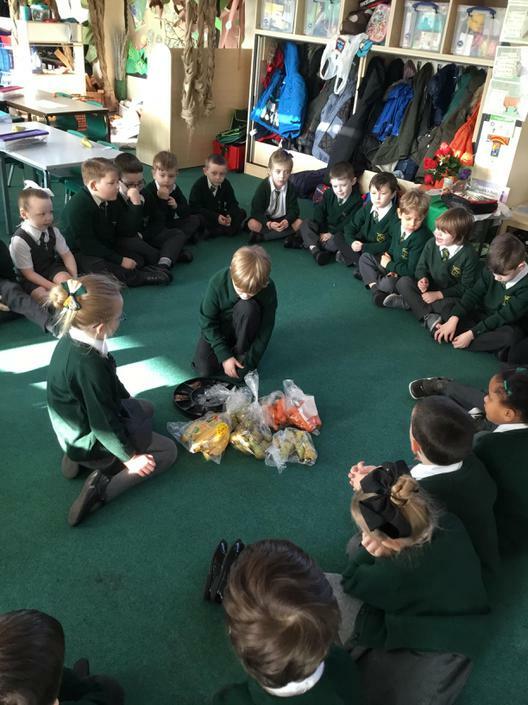 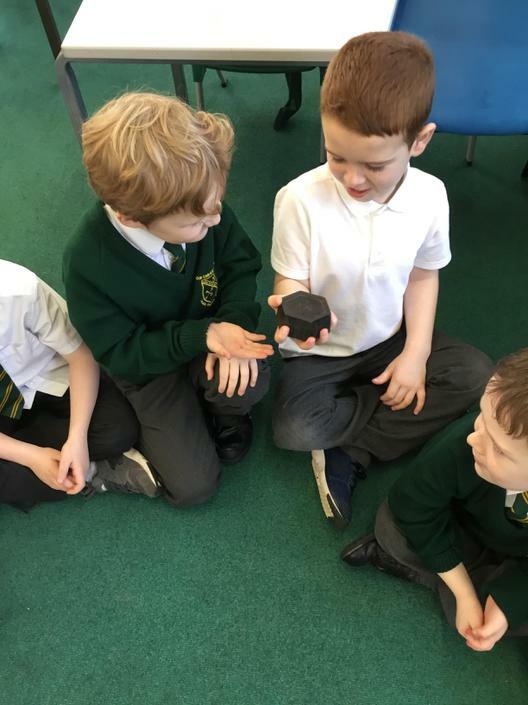 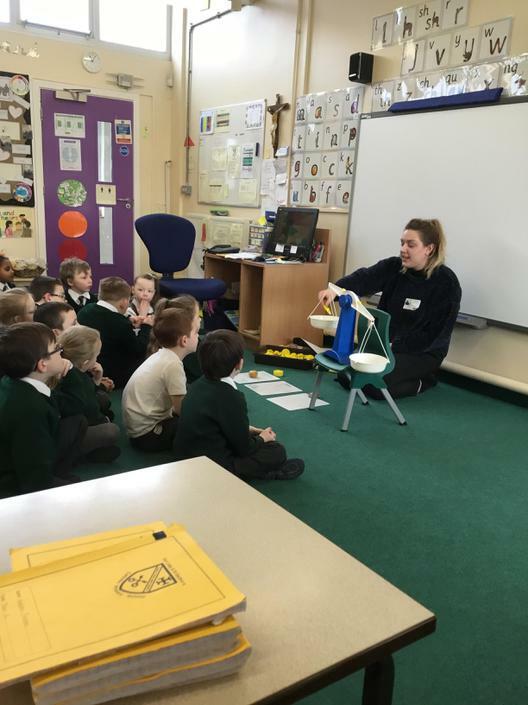 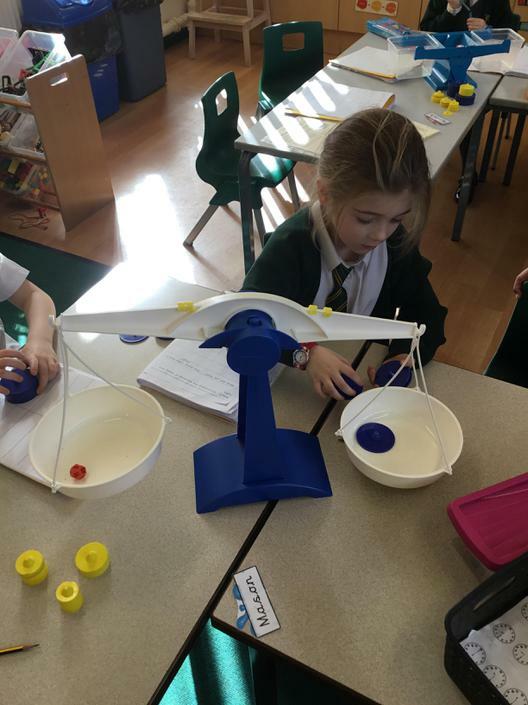 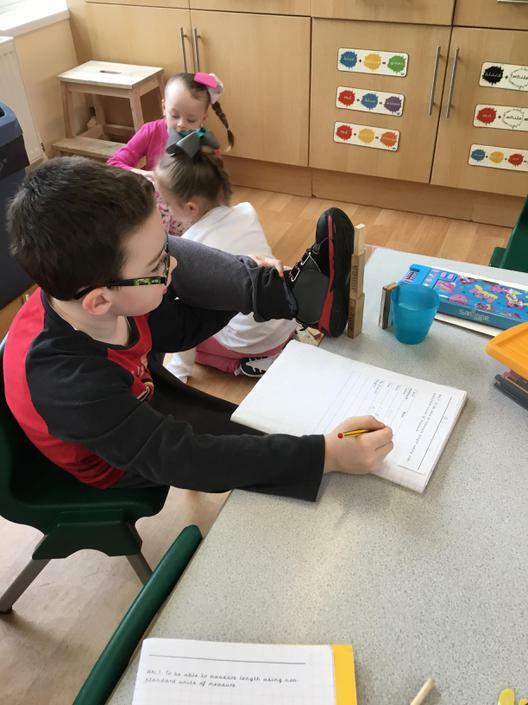 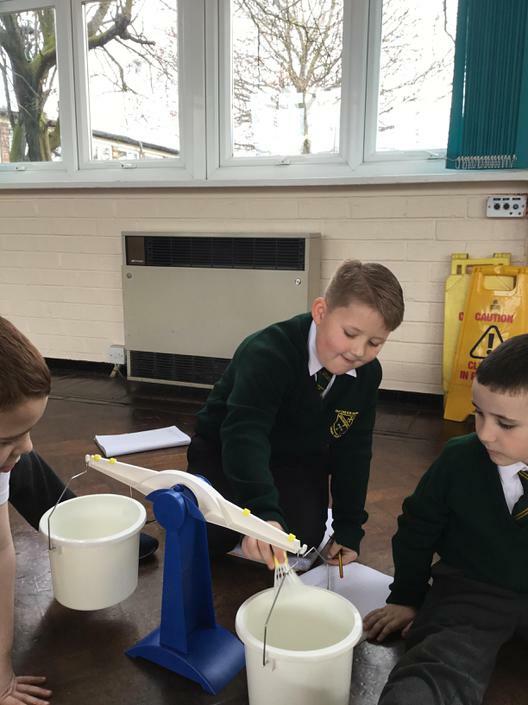 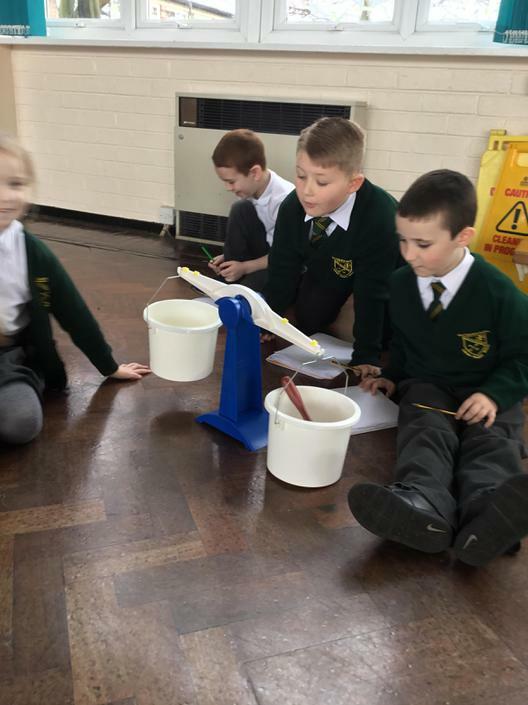 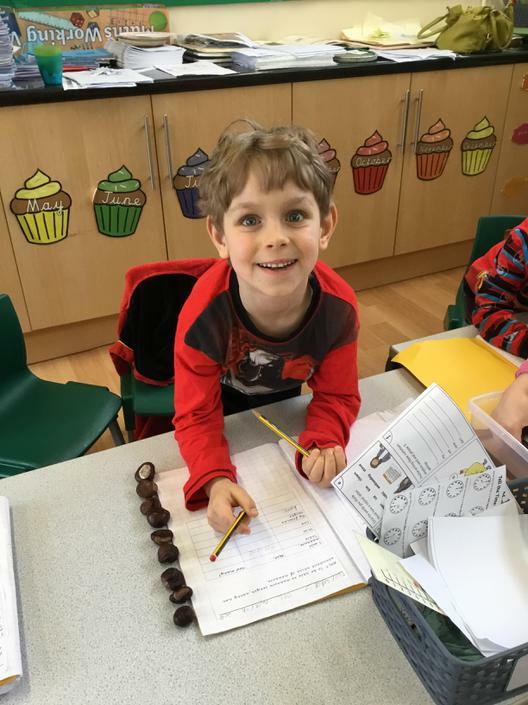 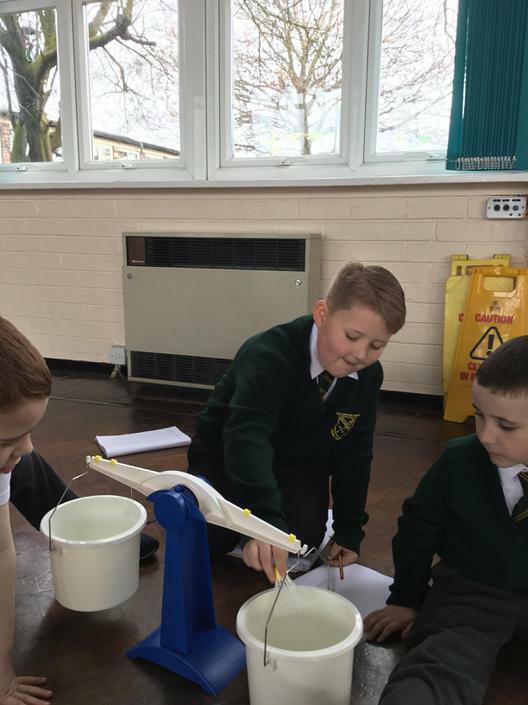 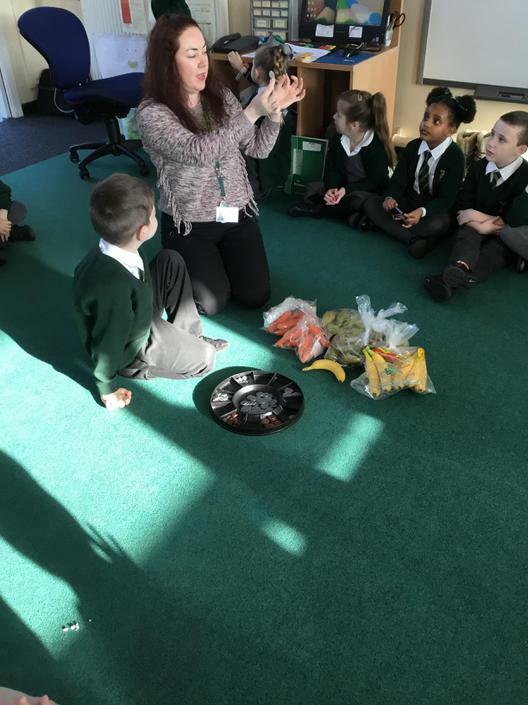 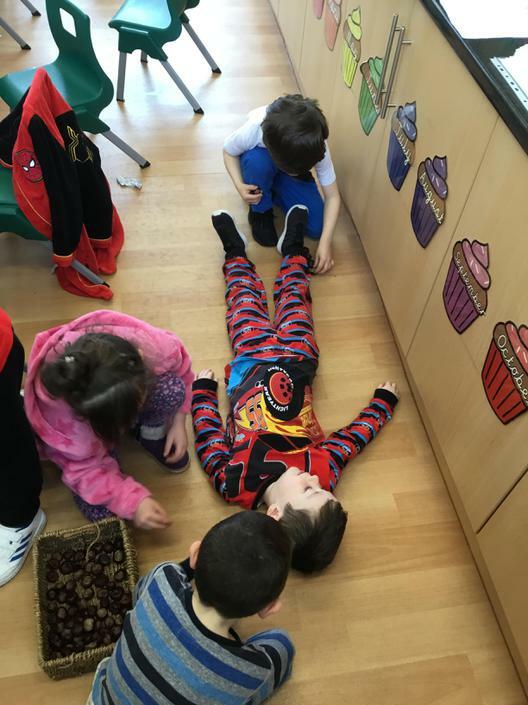 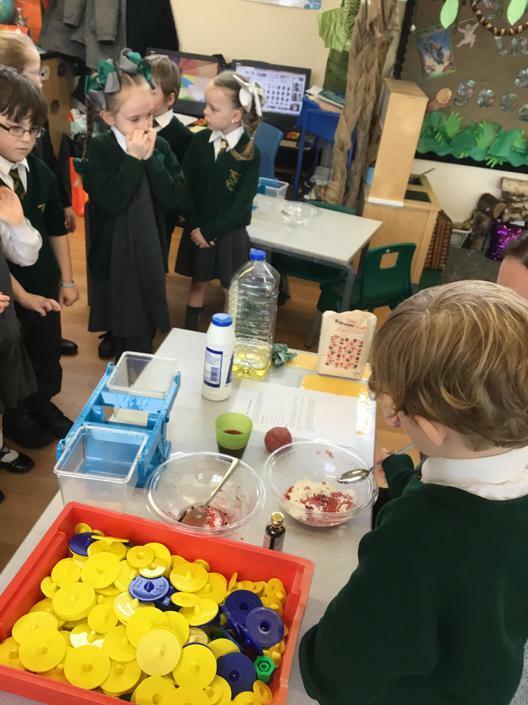 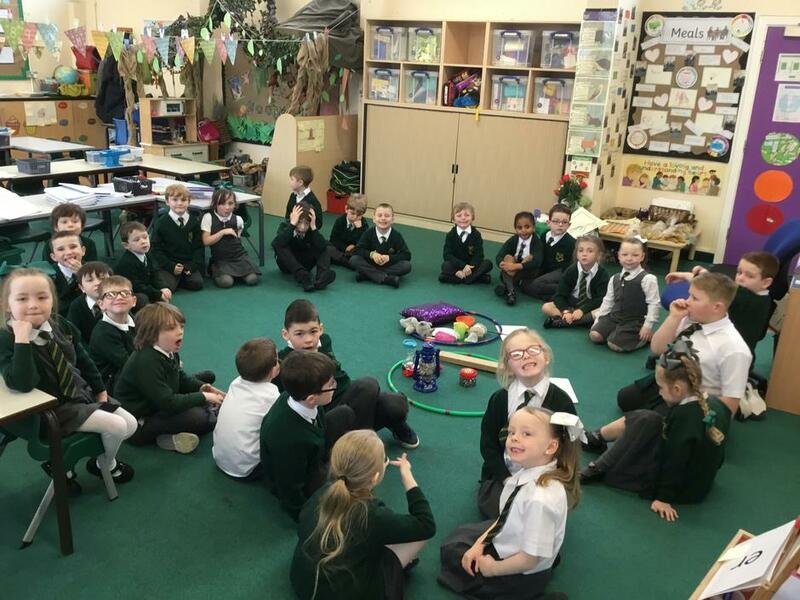 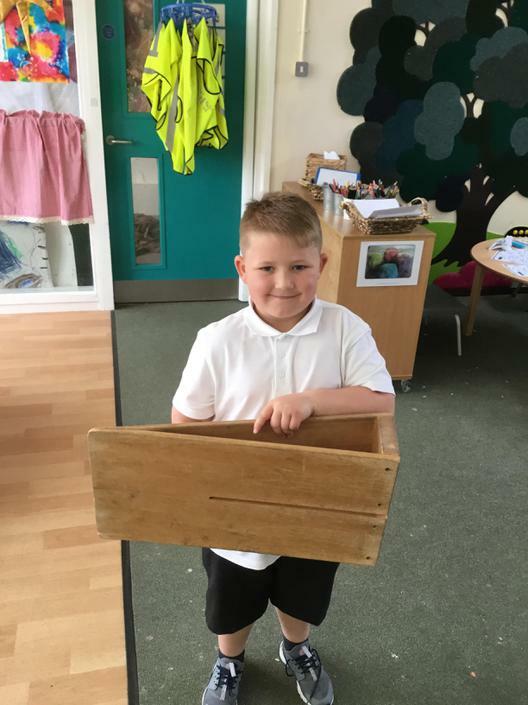 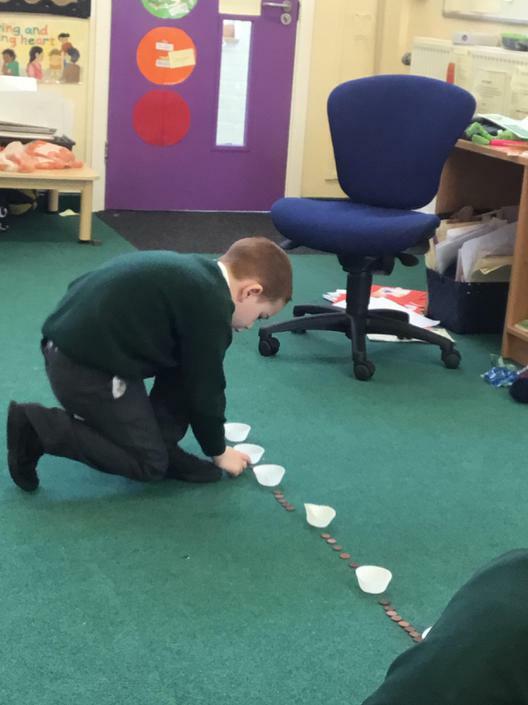 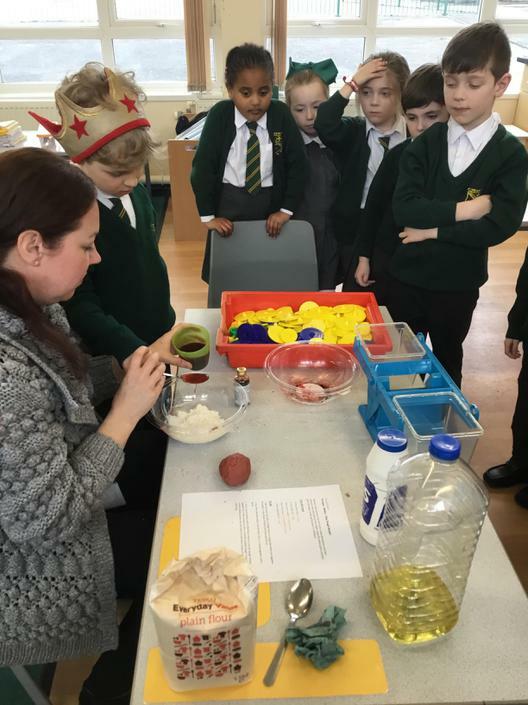 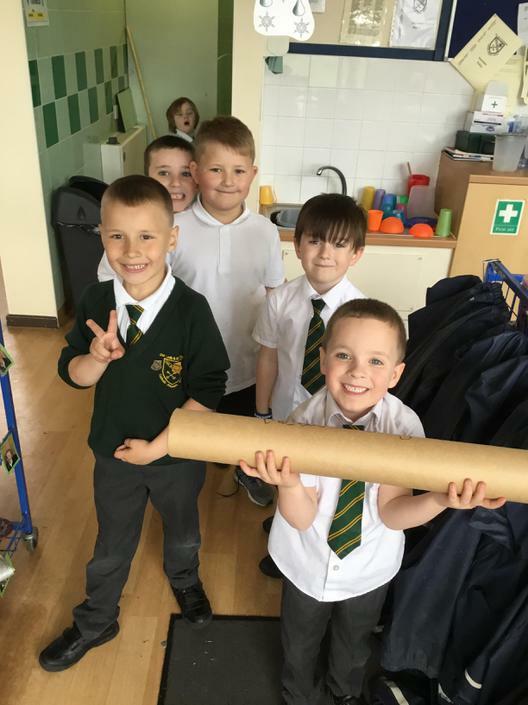 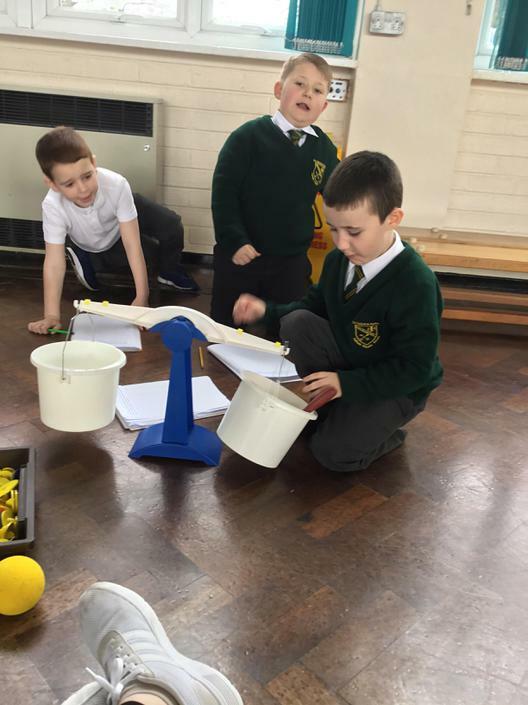 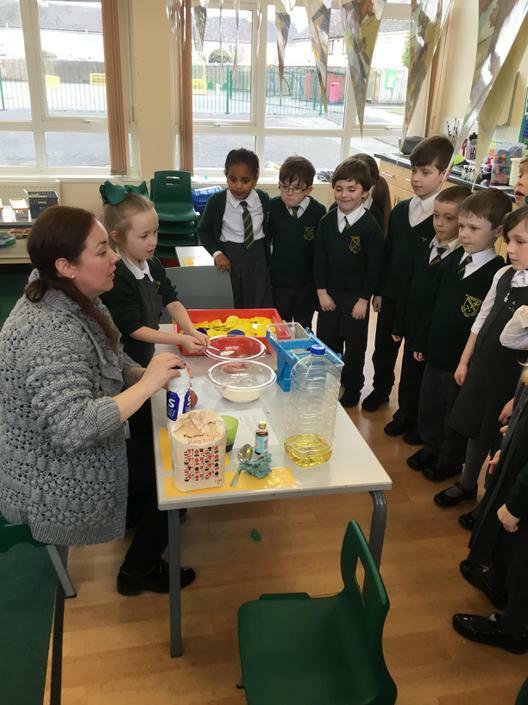 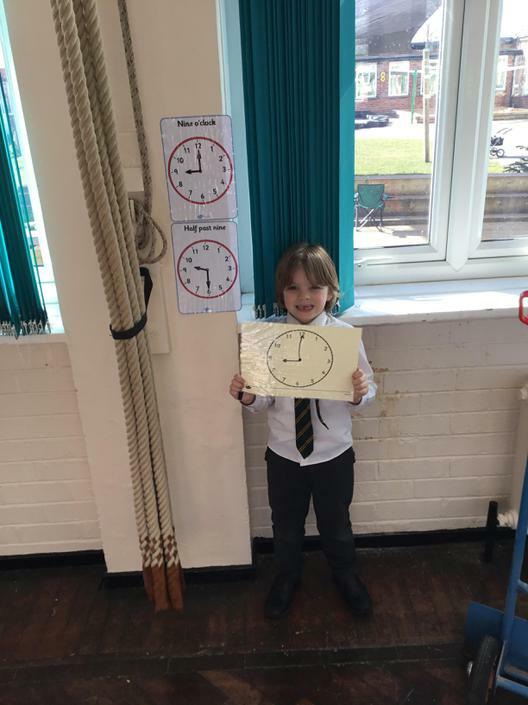 We have been learning all about weight. 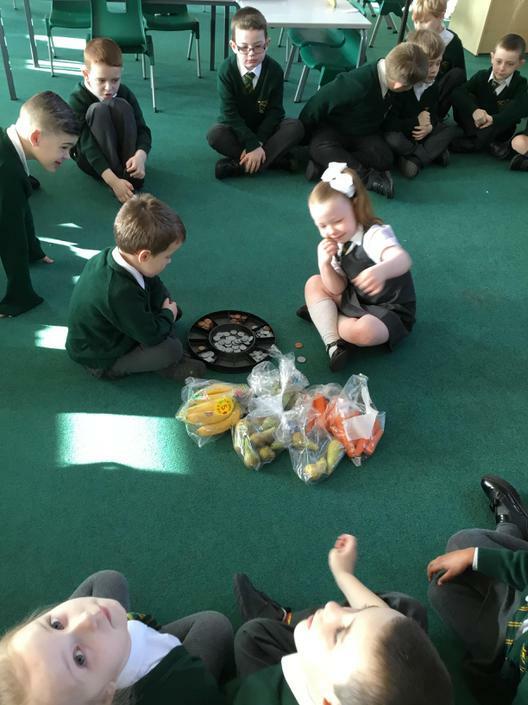 We began with thinking about the words we use when talking about weight, such a heavy and light, and were able to sort different objects by this description. 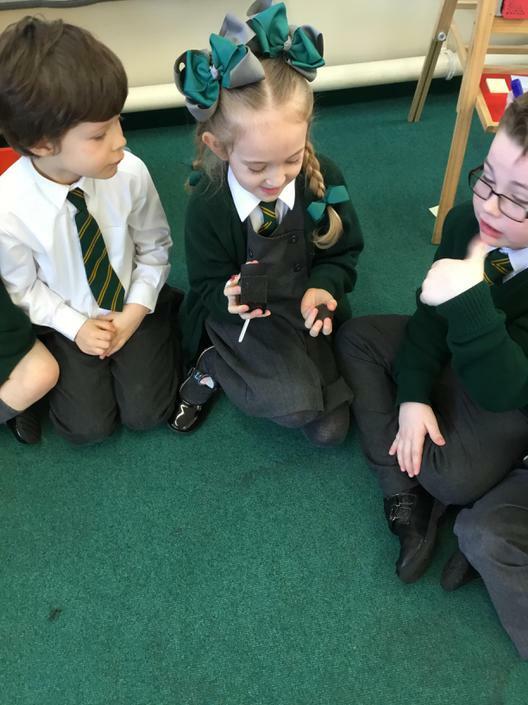 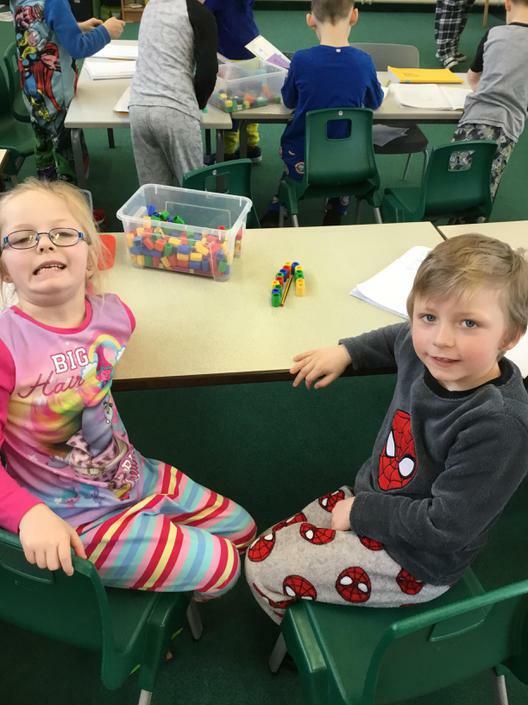 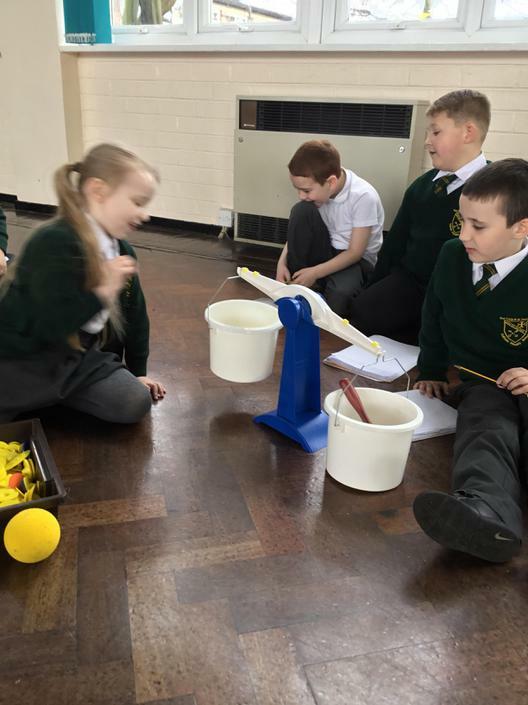 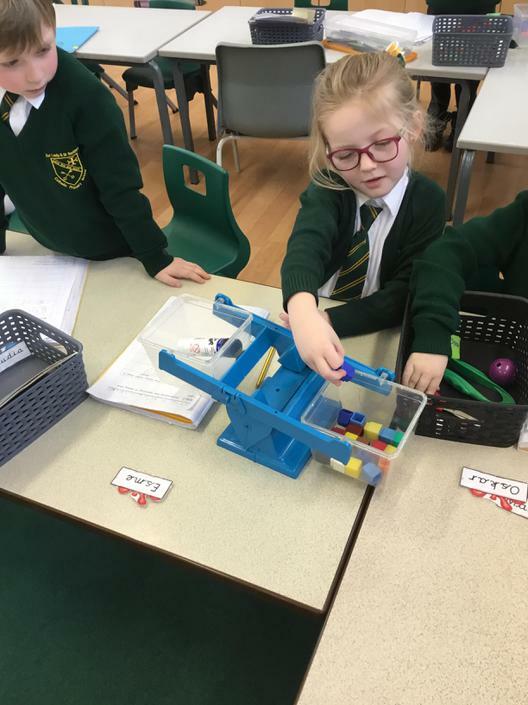 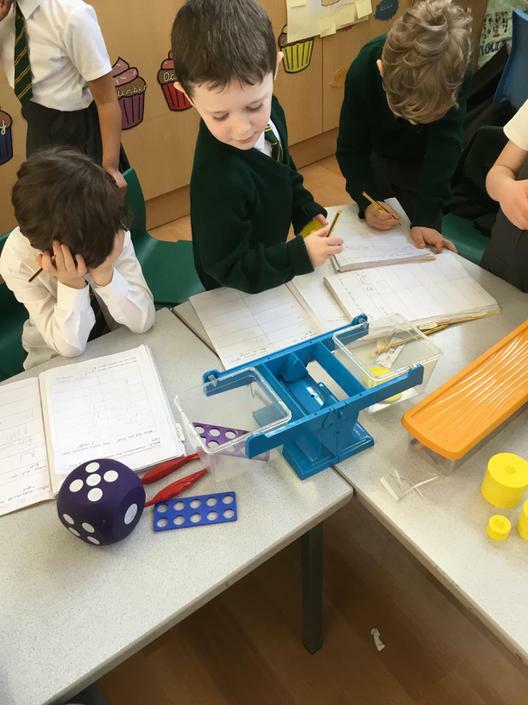 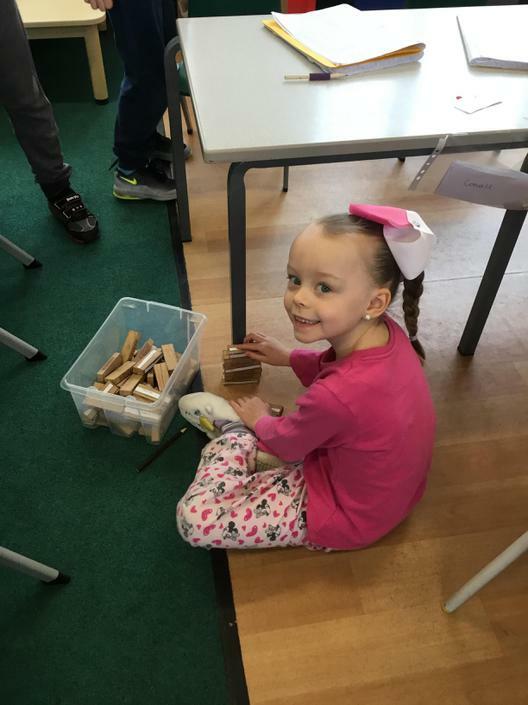 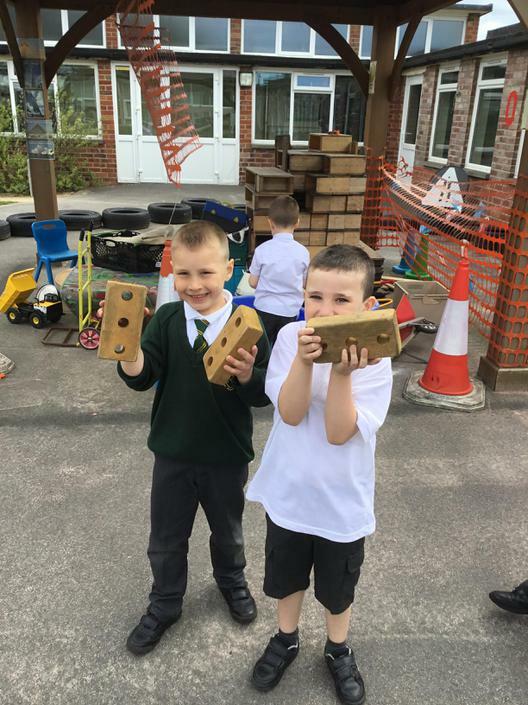 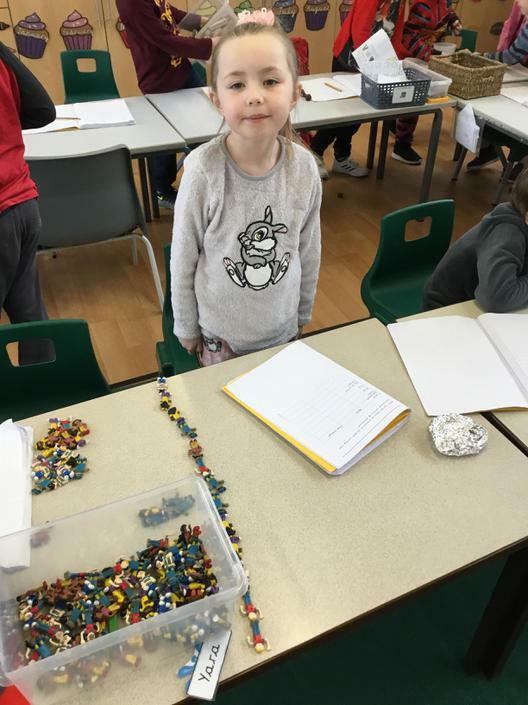 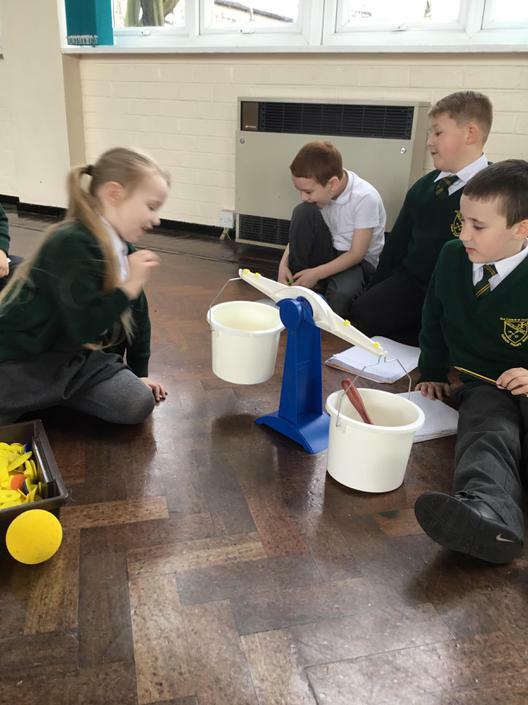 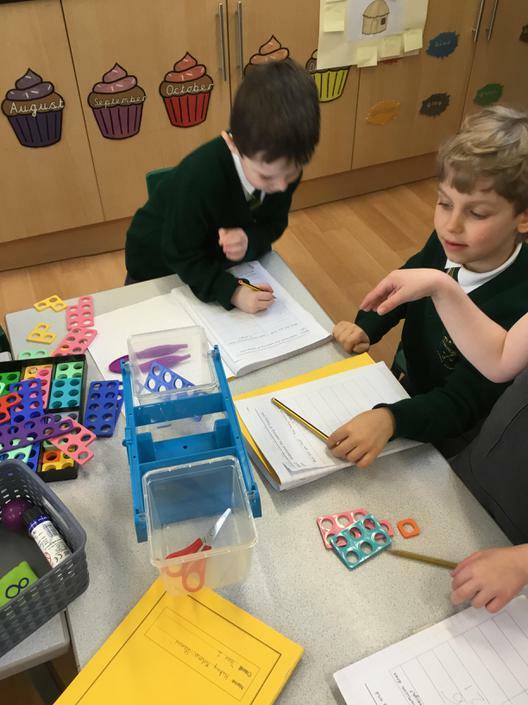 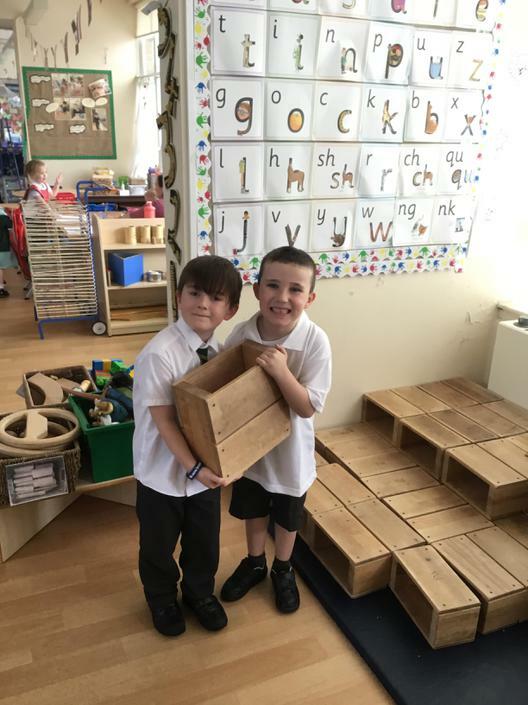 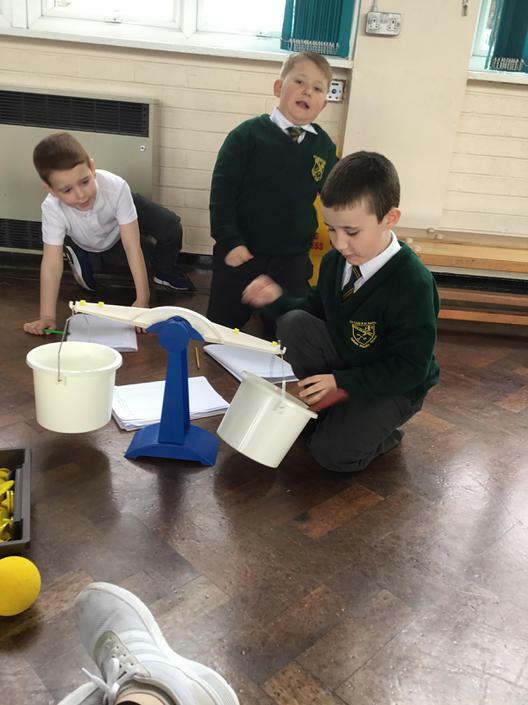 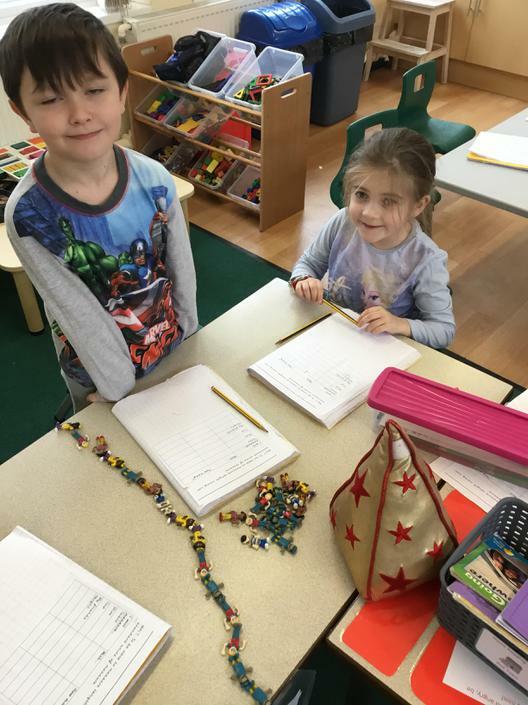 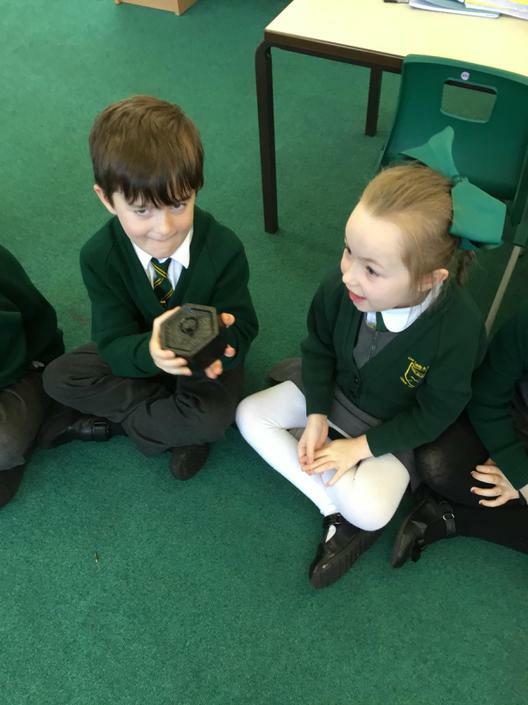 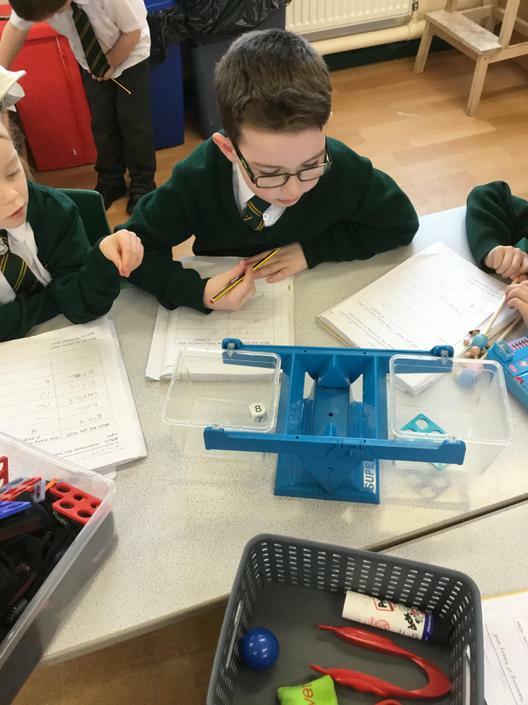 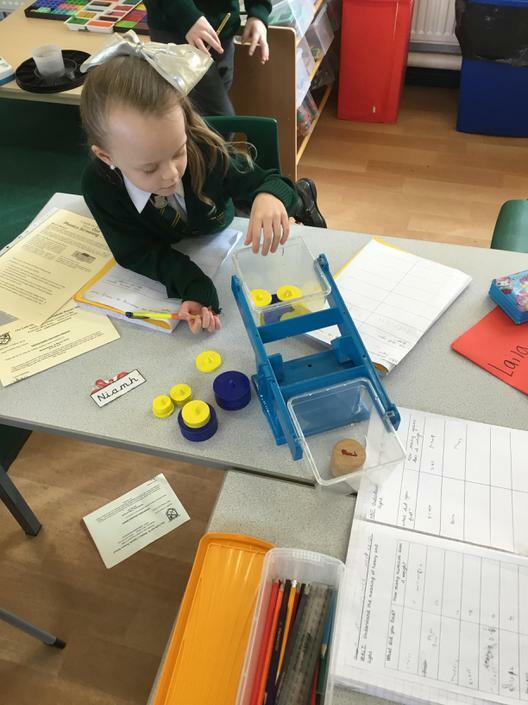 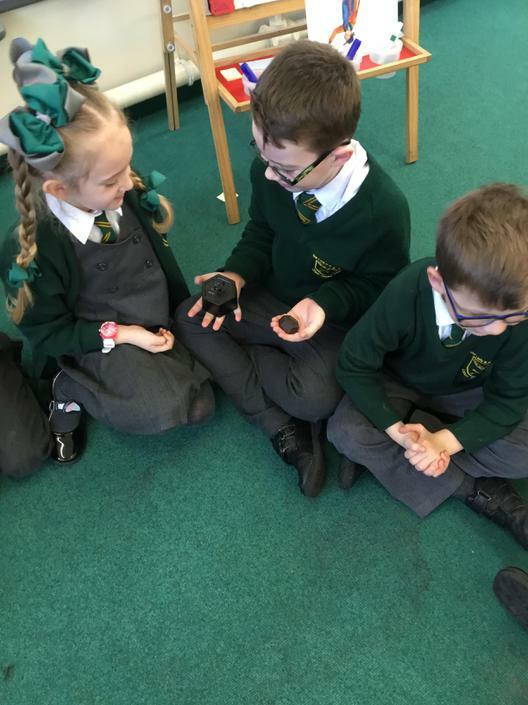 We then enjoyed measuring using different things, such as cubes and numicon, and found that we could measure the same object, but have a different weight! 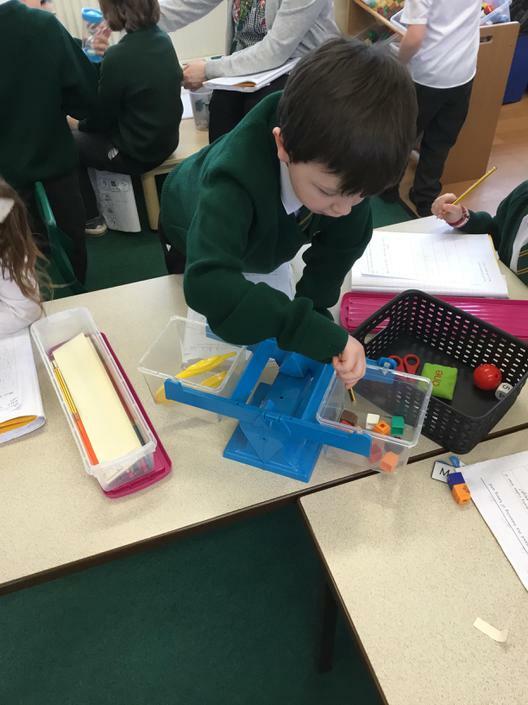 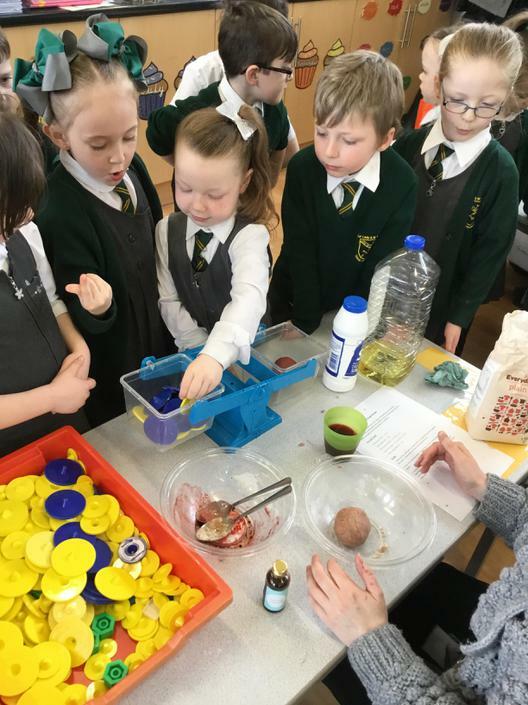 We decided it would be a good idea to have a standard measure, so we explored measuring using grams, and were even able to make our own play dough. 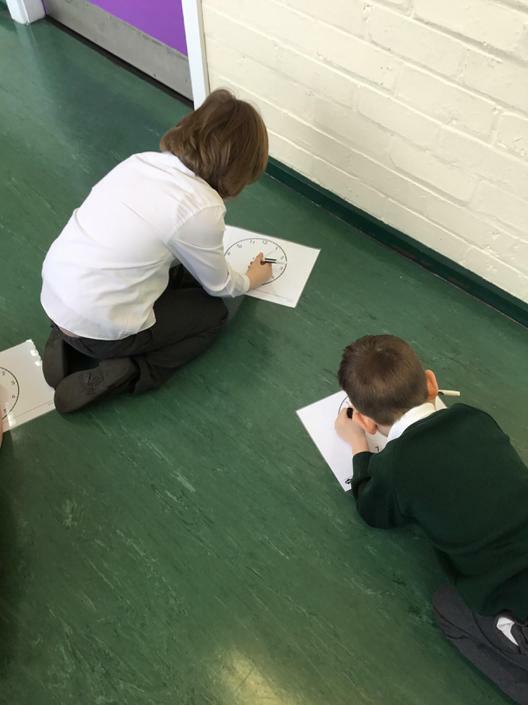 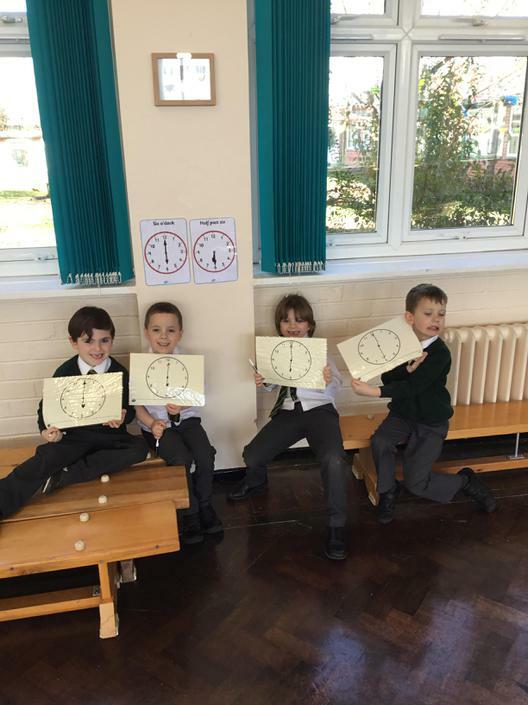 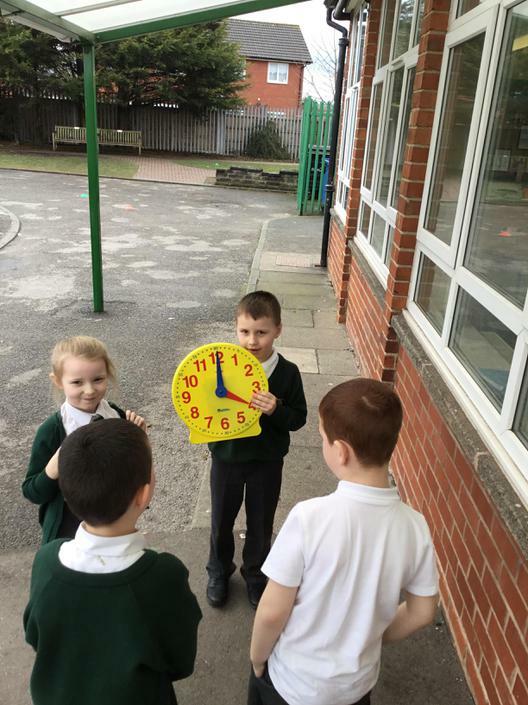 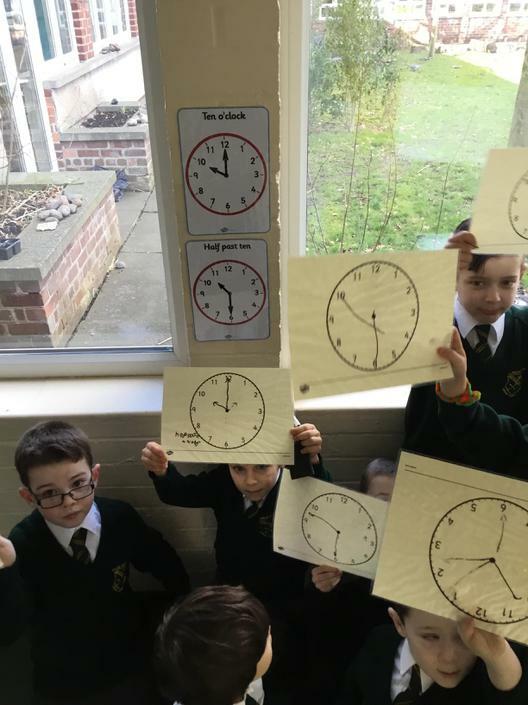 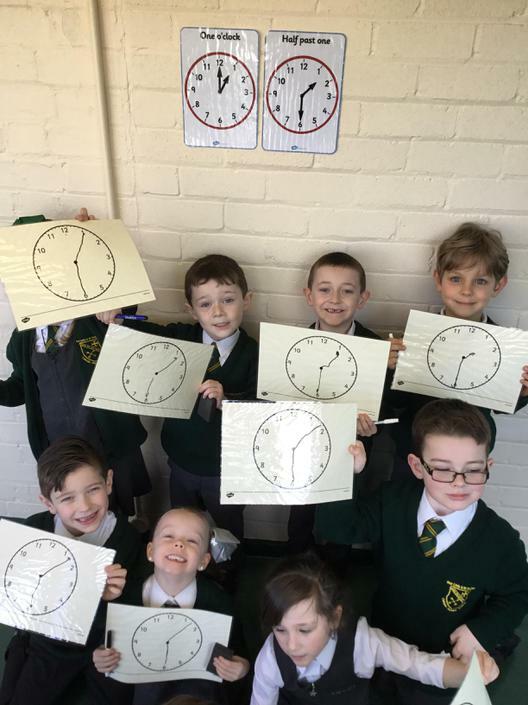 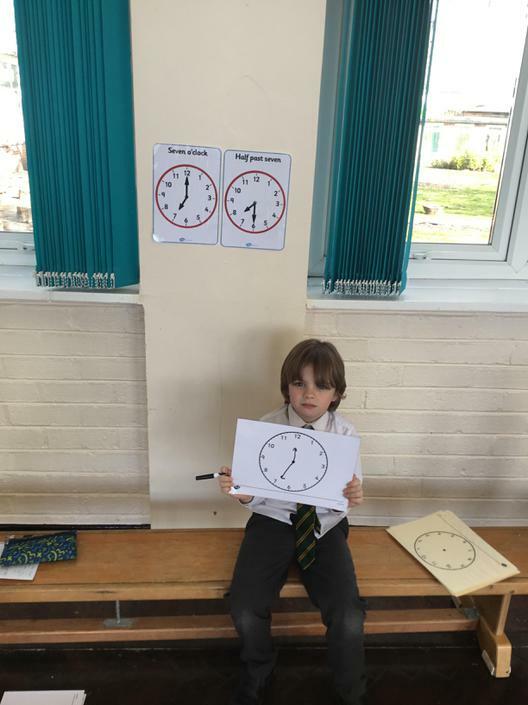 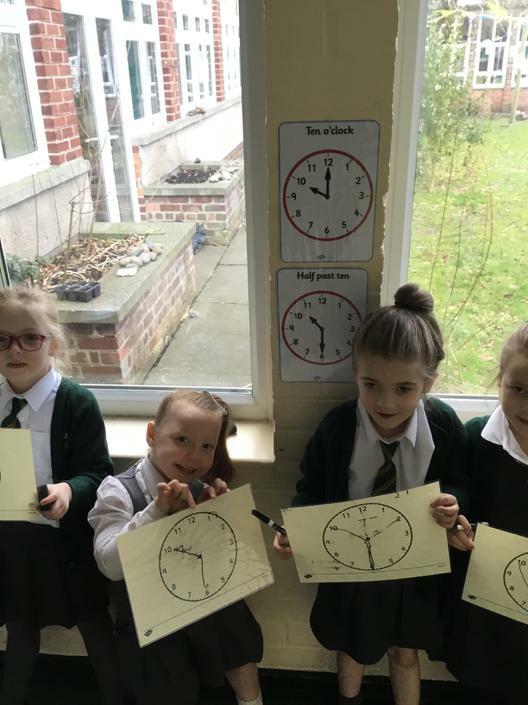 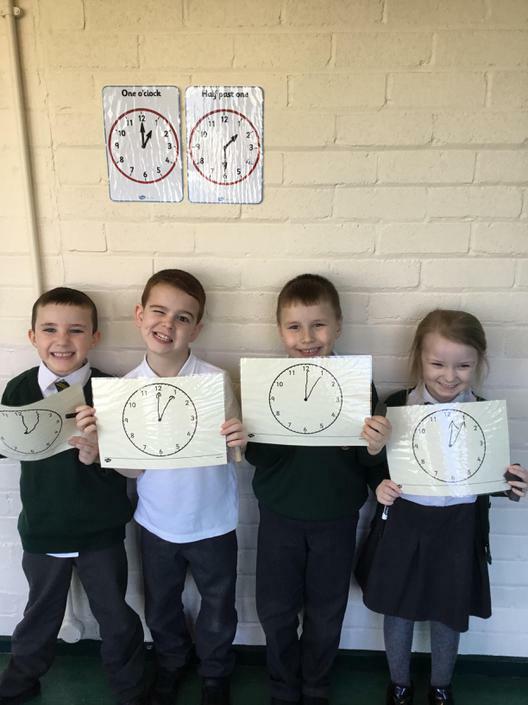 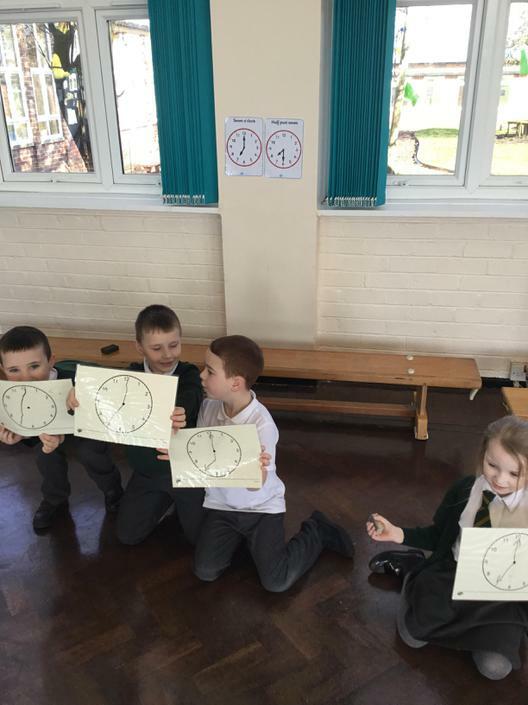 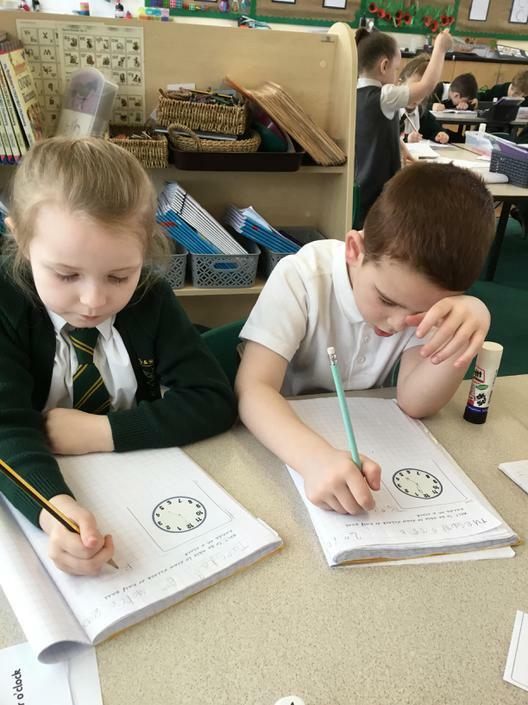 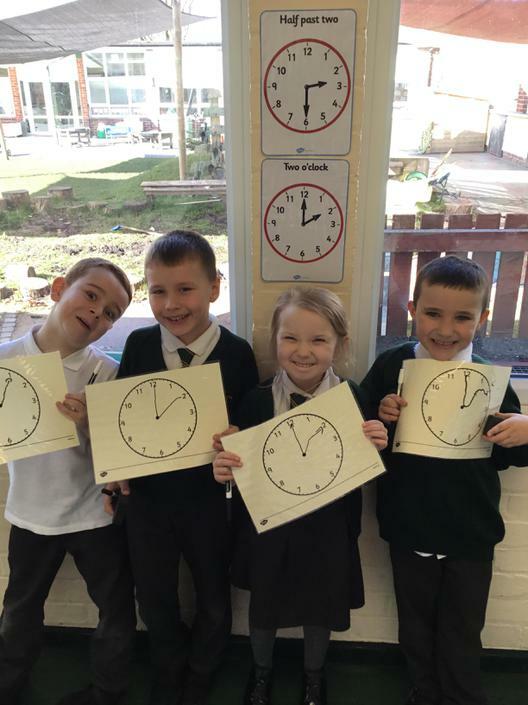 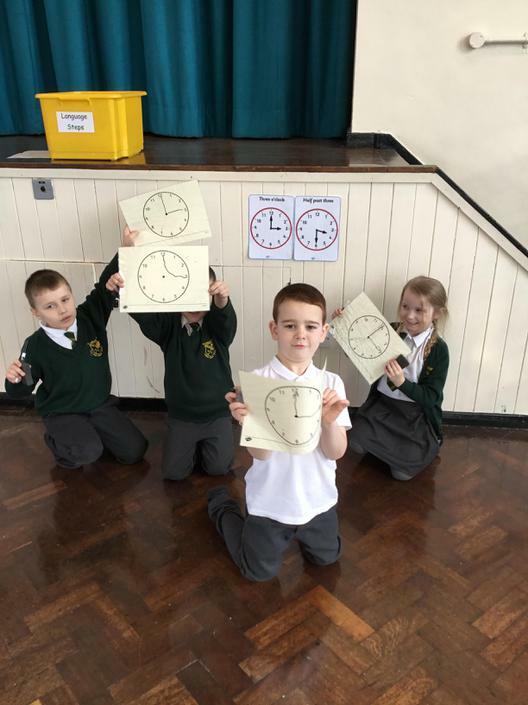 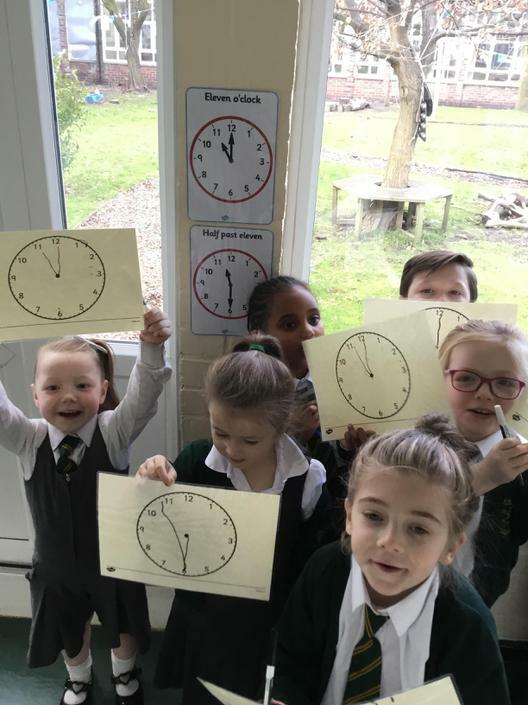 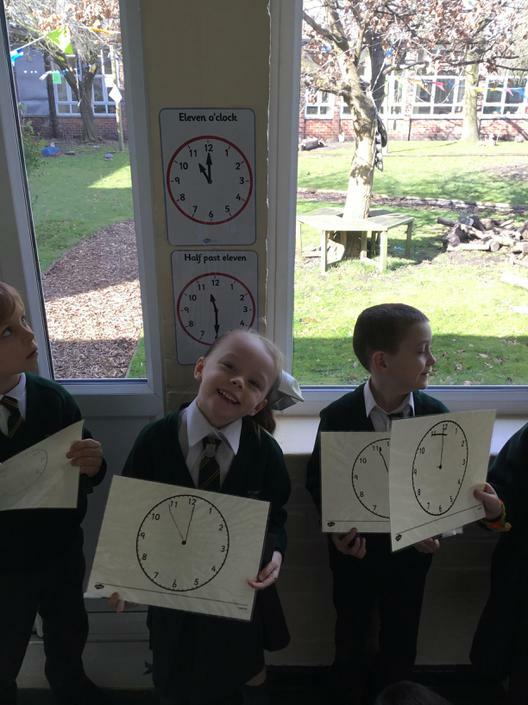 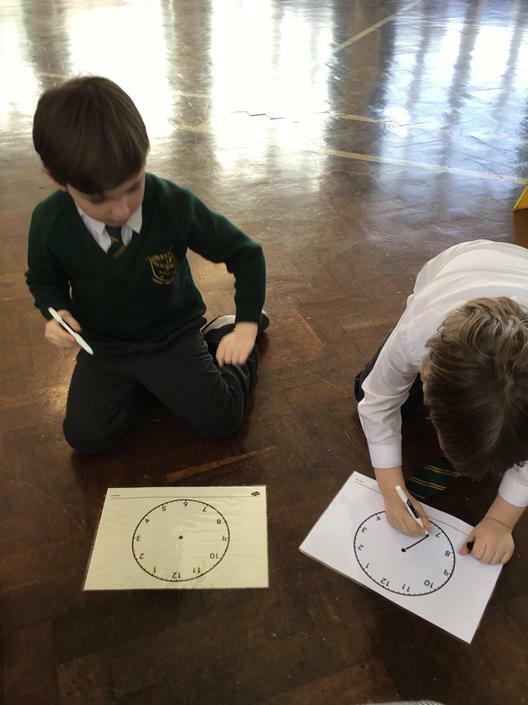 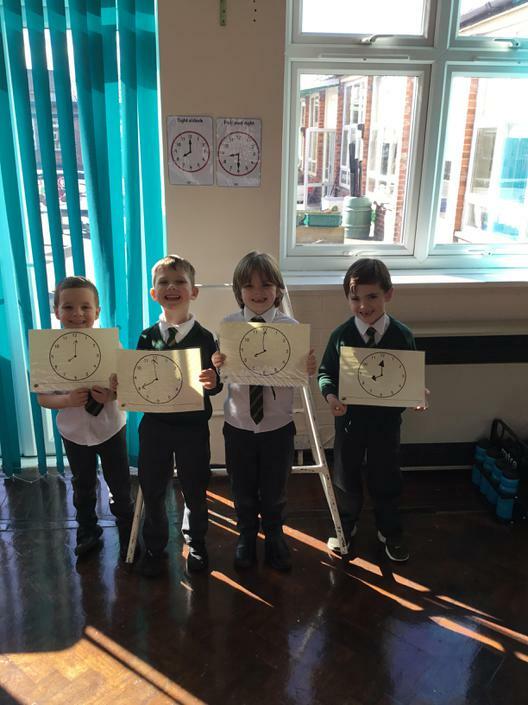 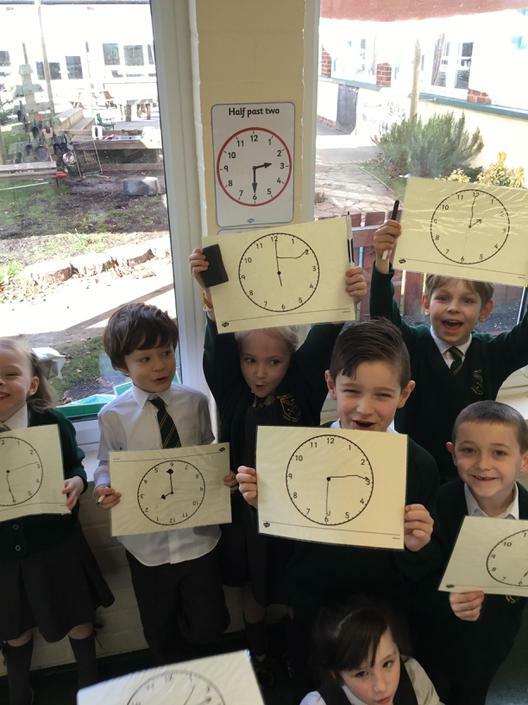 We have been learning how to tell the time to o’clock. 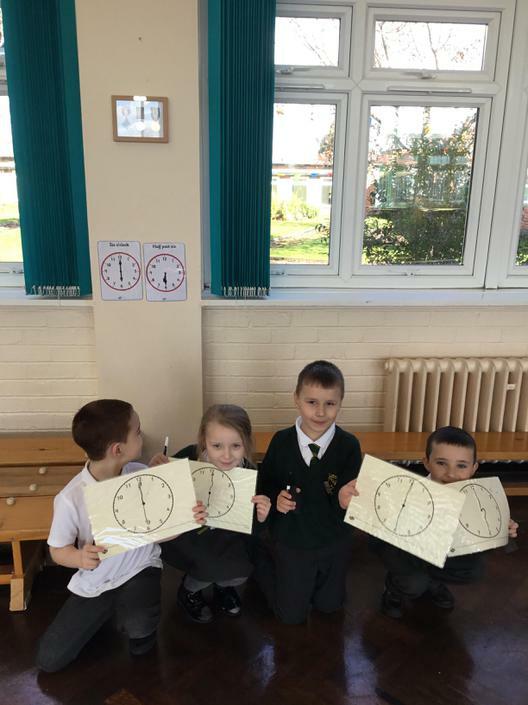 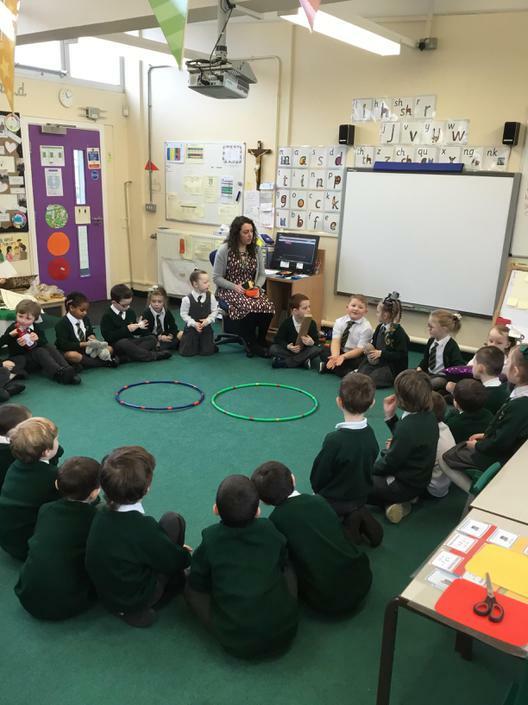 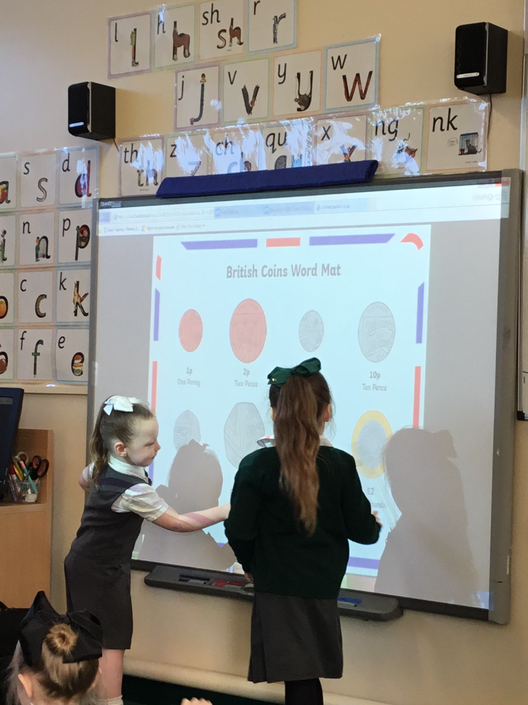 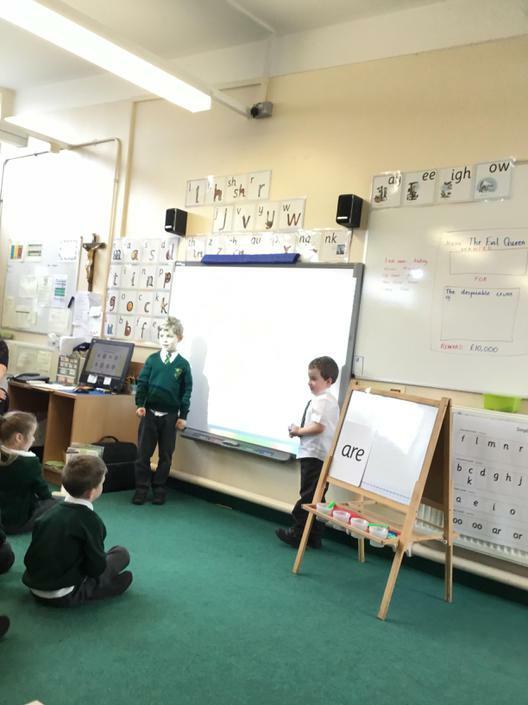 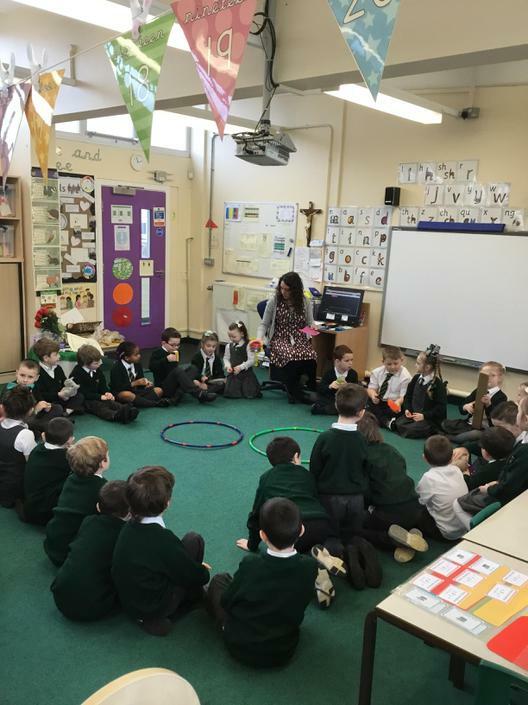 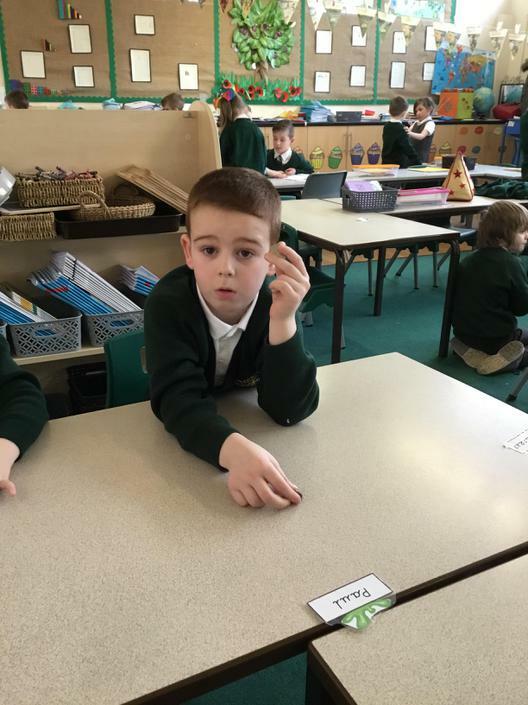 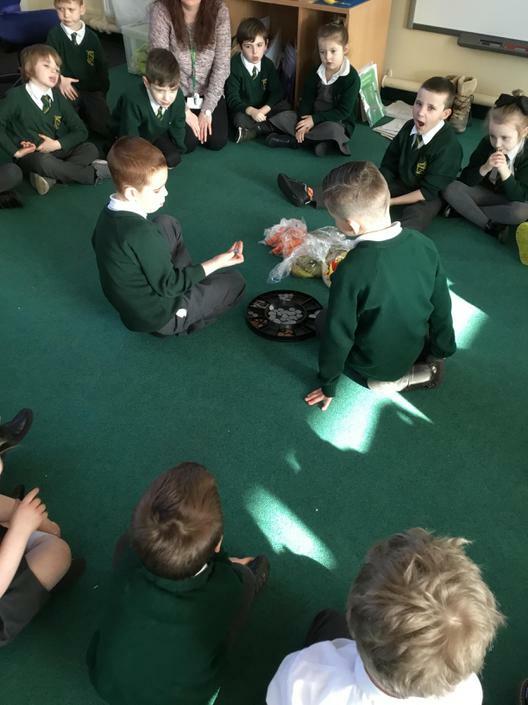 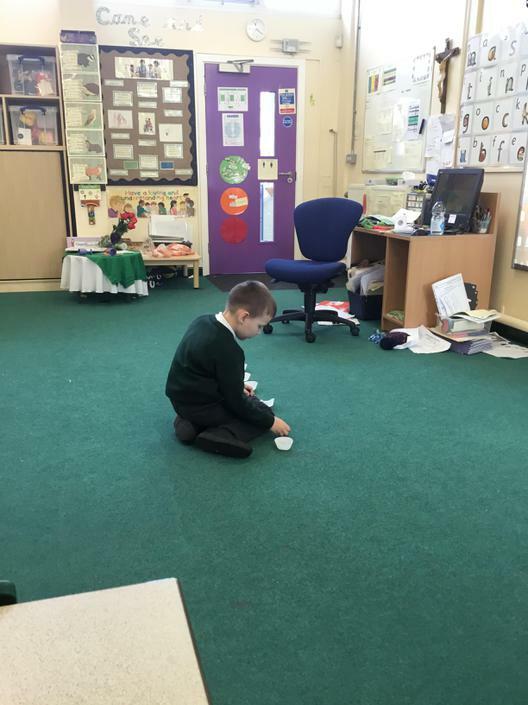 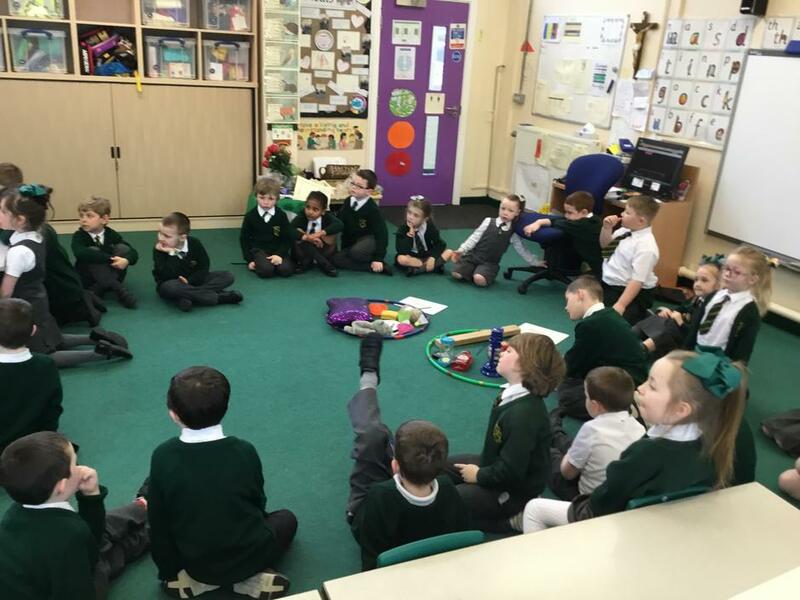 We have enjoyed a game of “What’s the Time Mr Wolf” to help us to identify times. 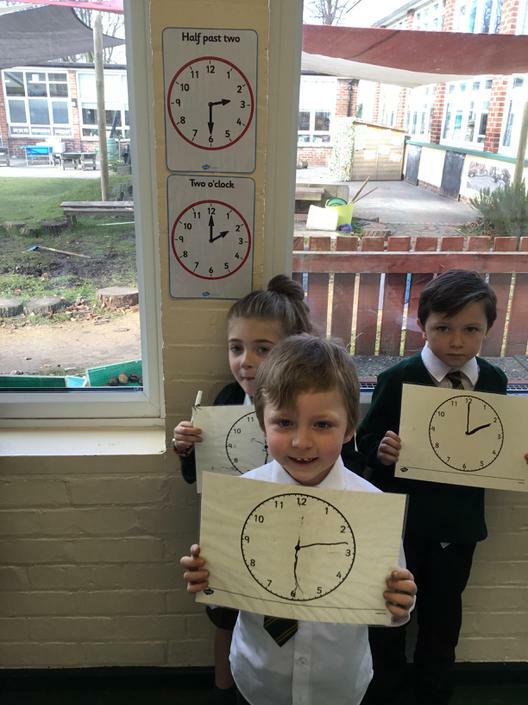 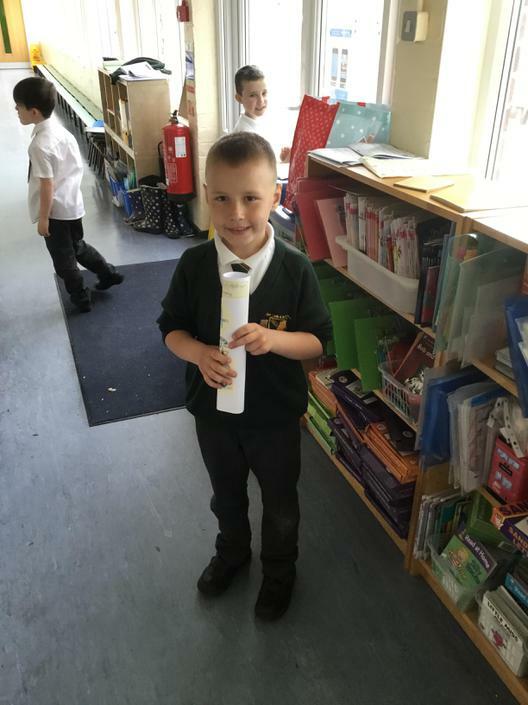 We have also explored our school to find clocks hidden around the building! 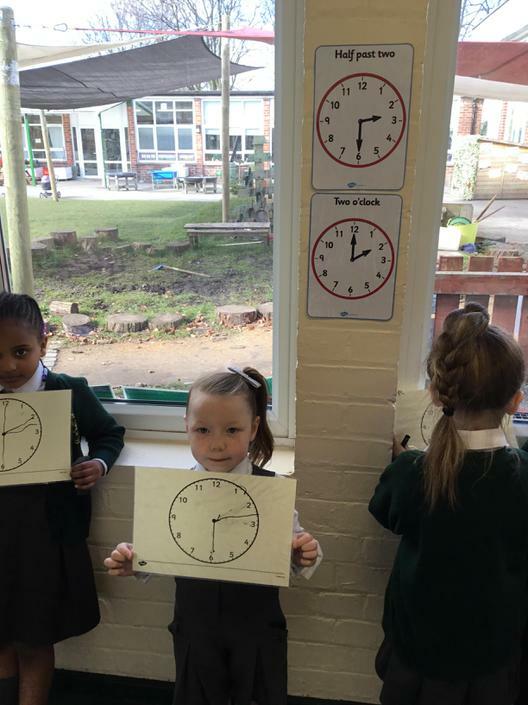 ⏰Some of us have even been able to identify time to half past. 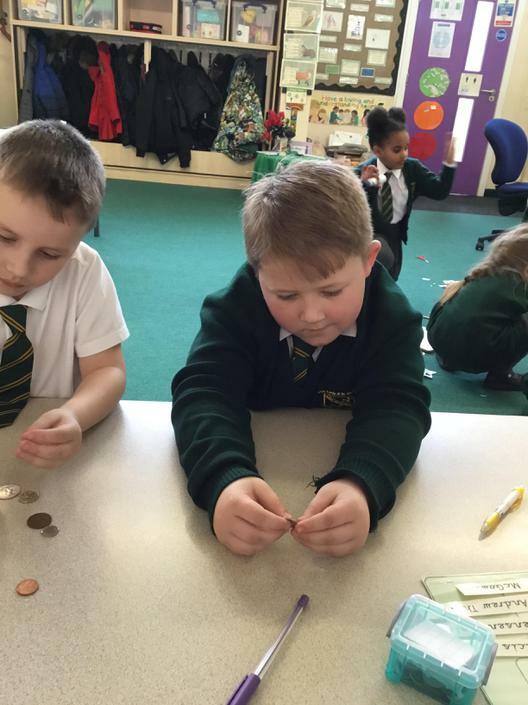 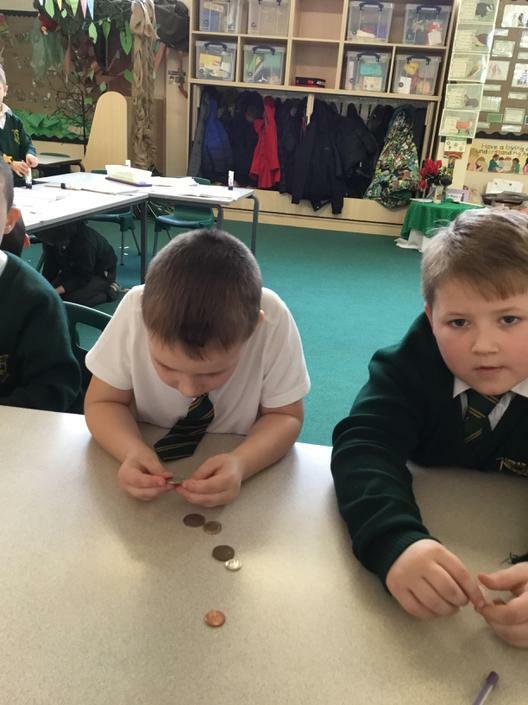 We have been exploring money. 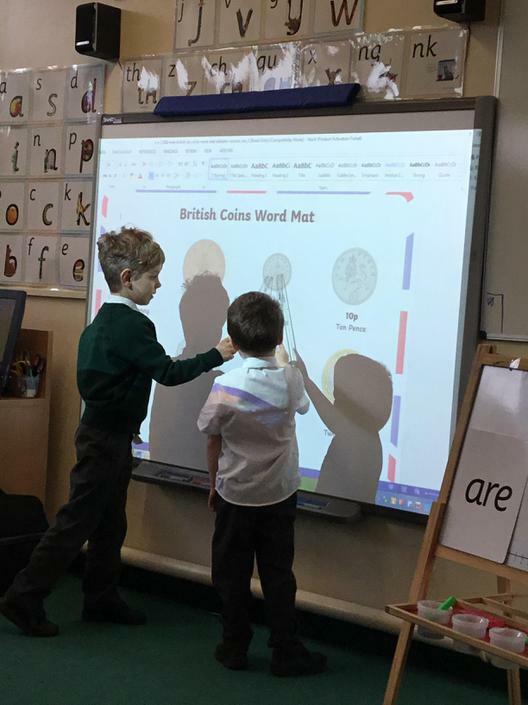 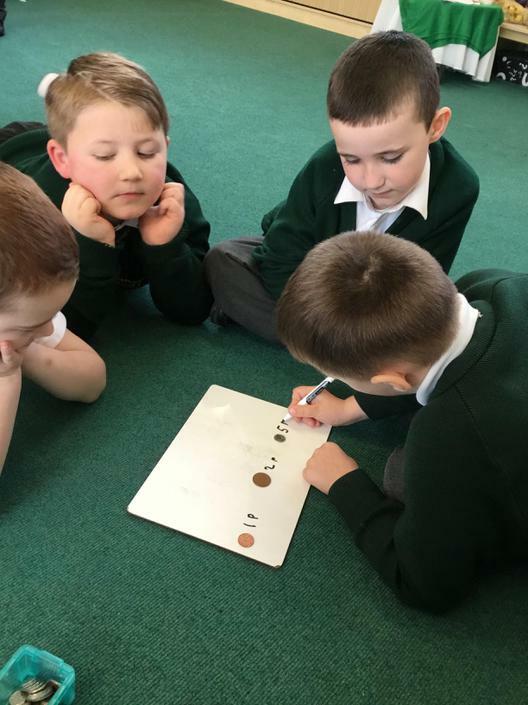 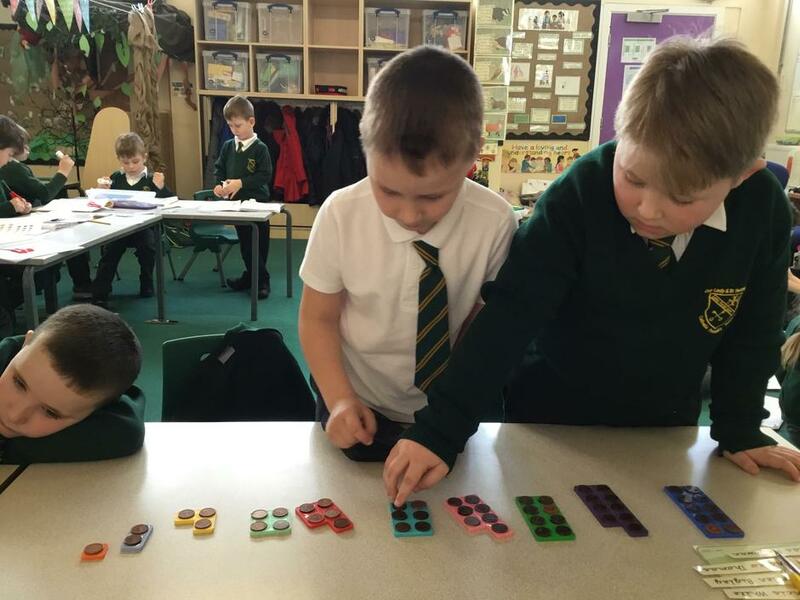 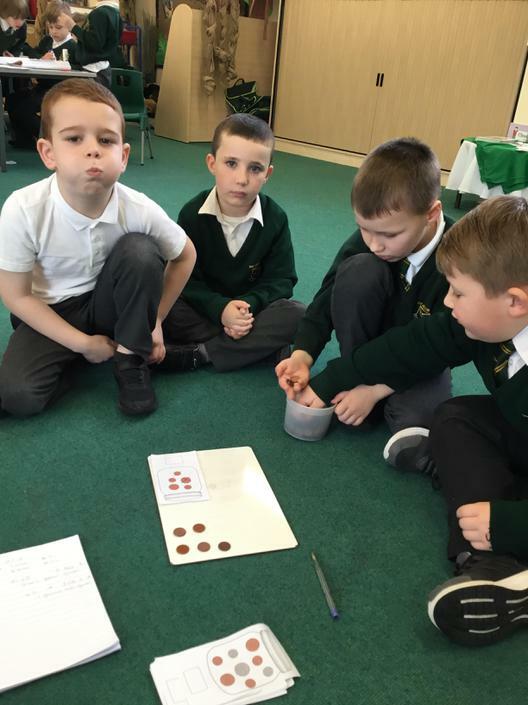 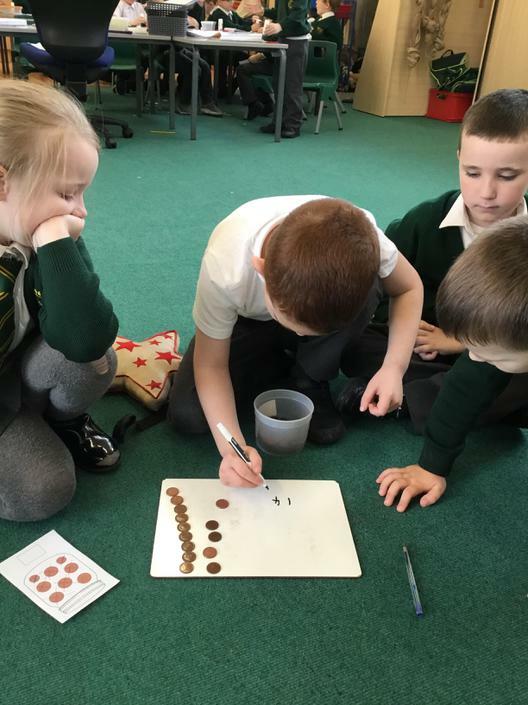 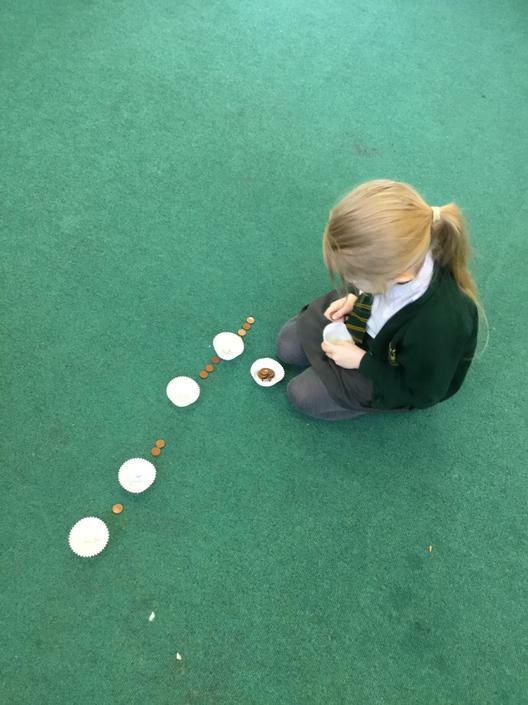 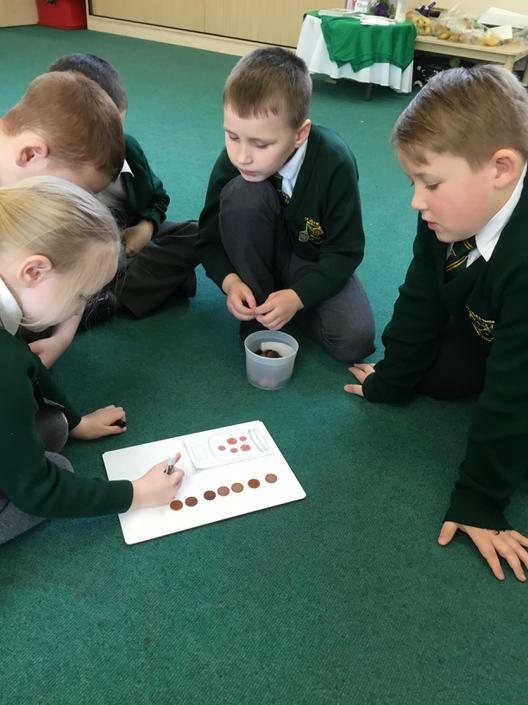 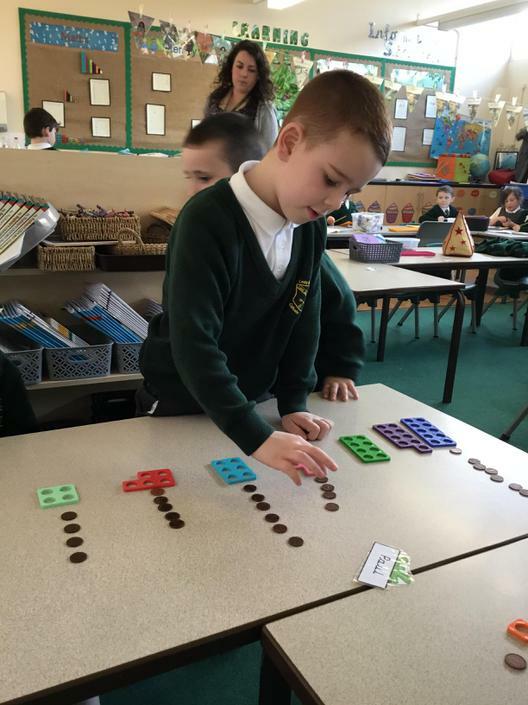 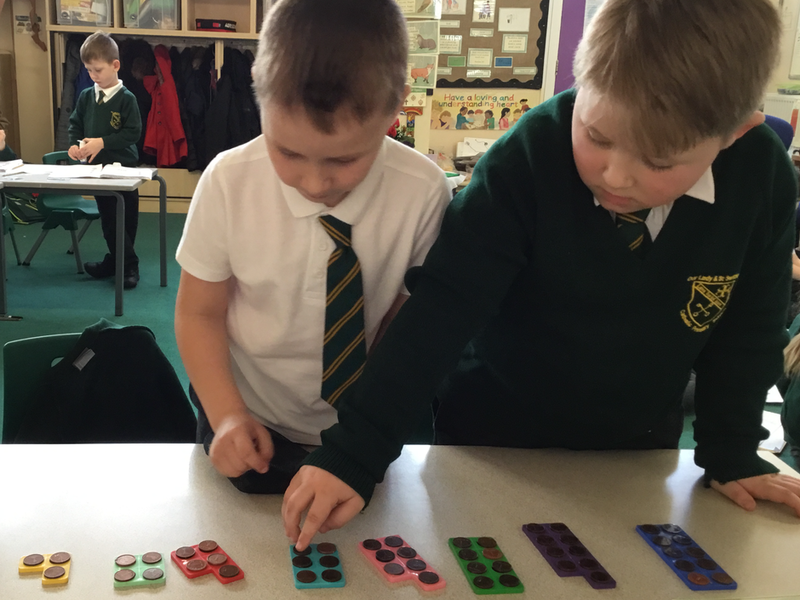 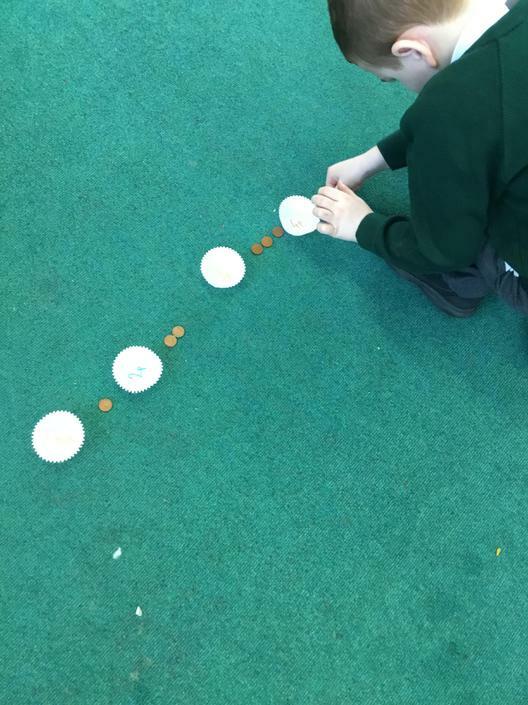 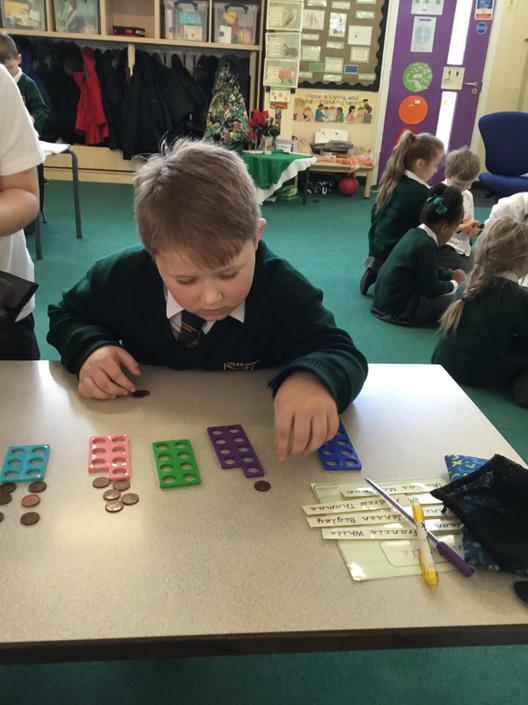 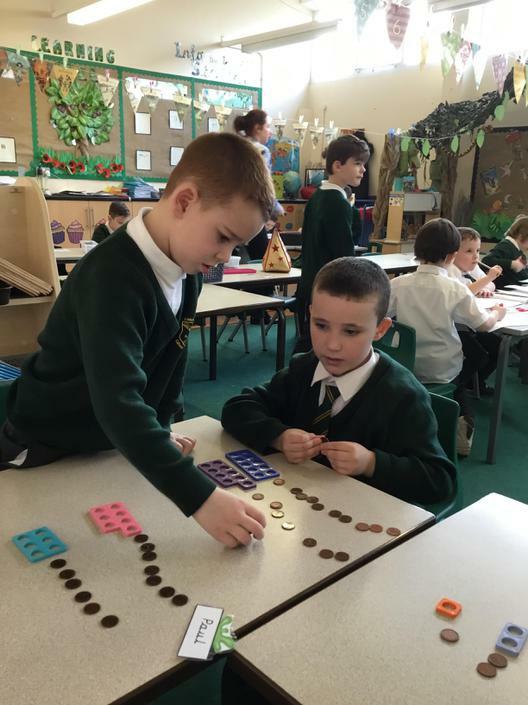 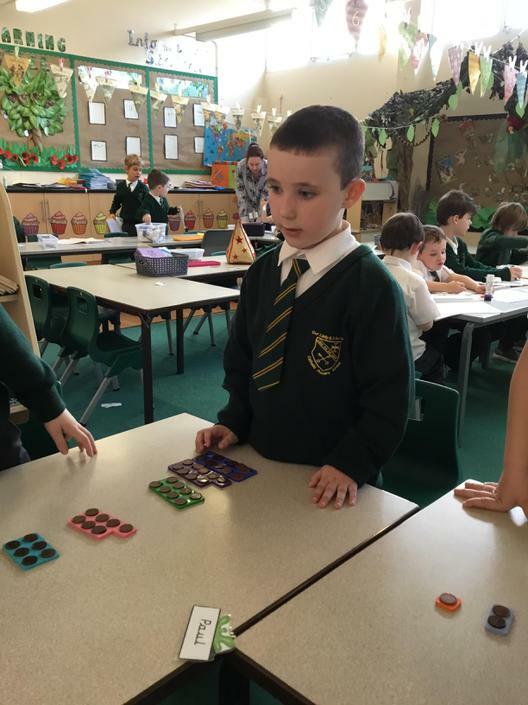 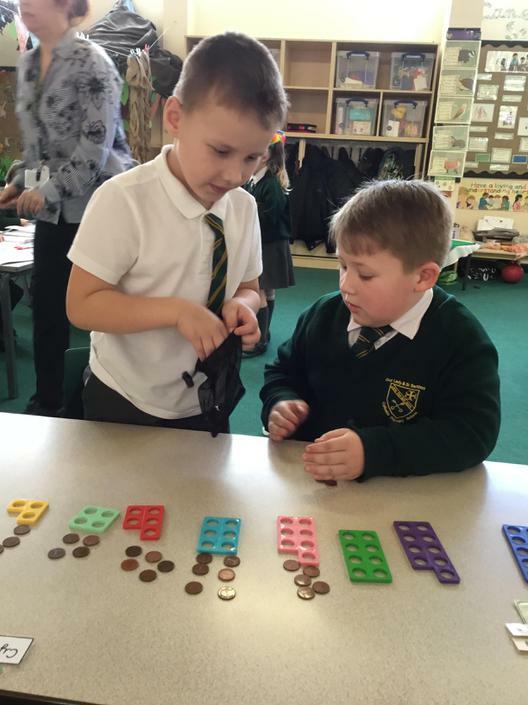 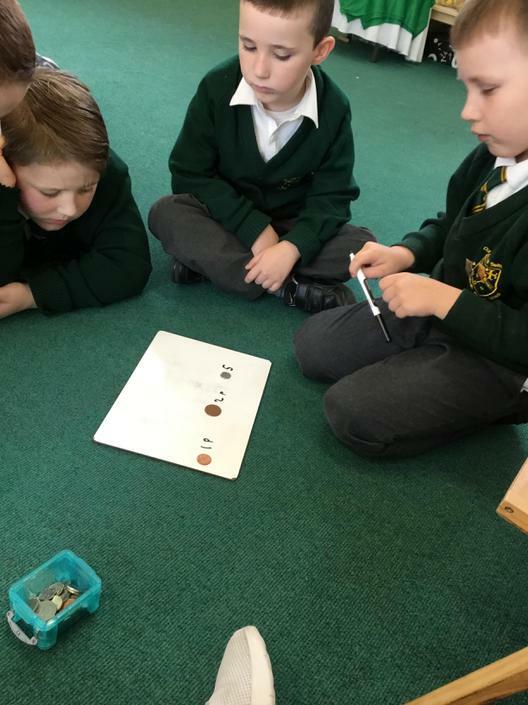 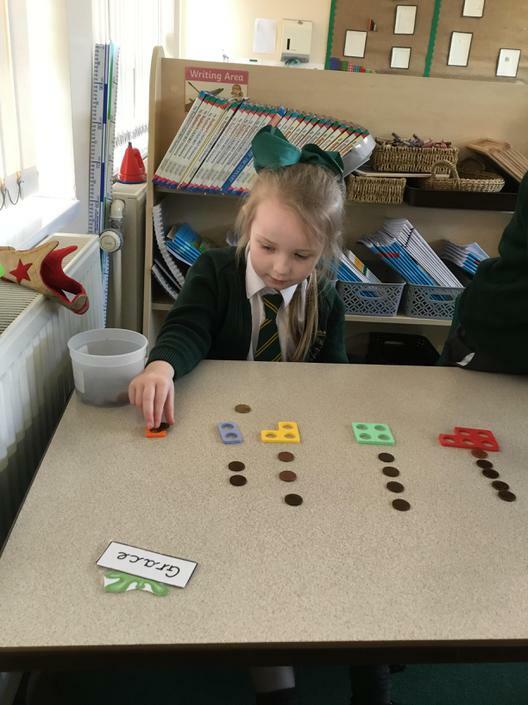 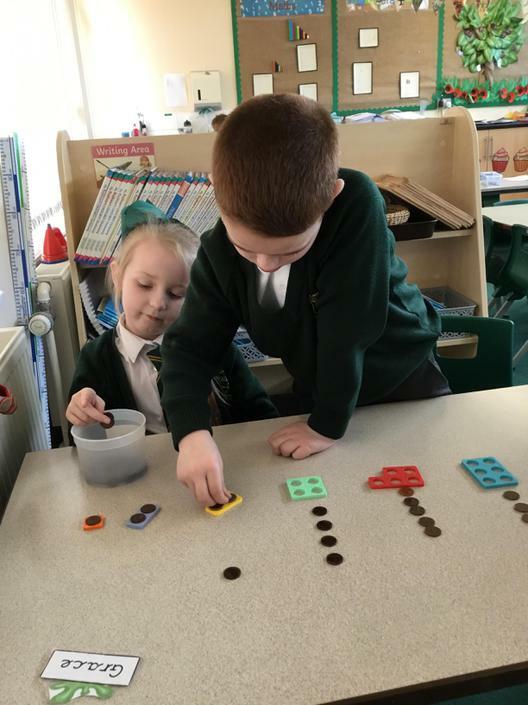 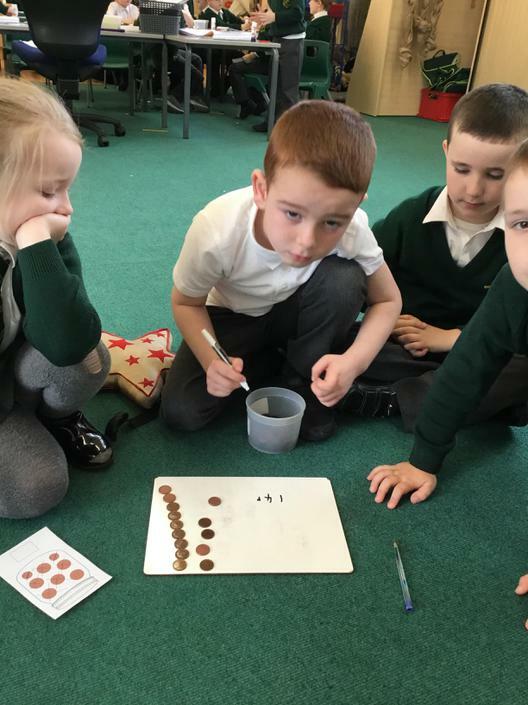 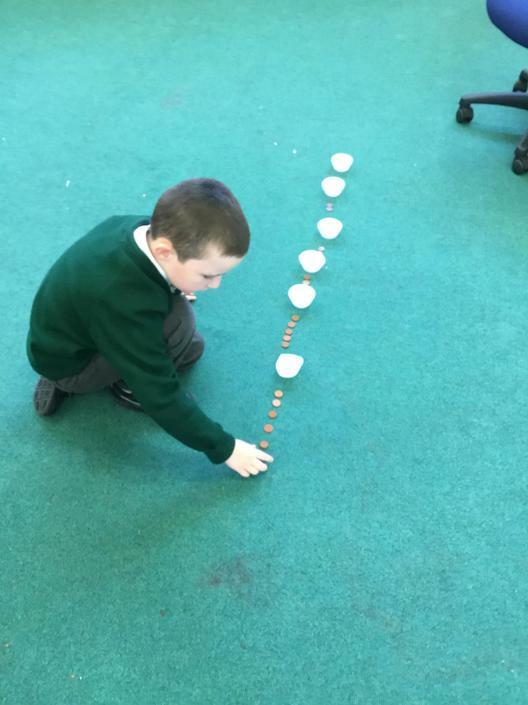 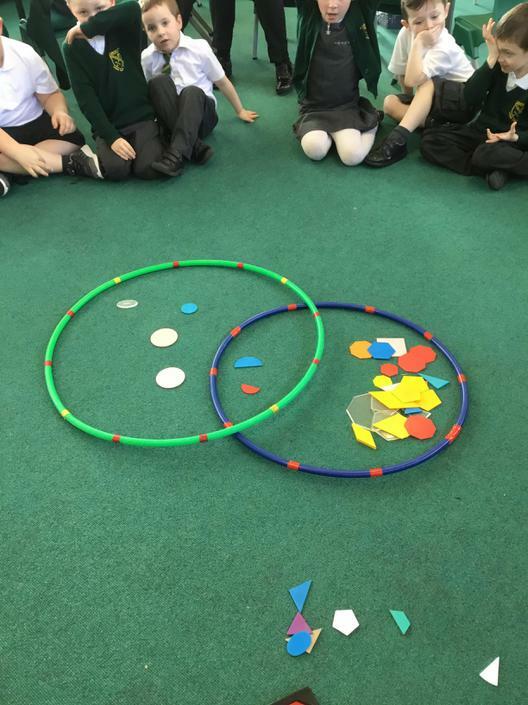 Children have been identifying coins and matching them up to numicon to discover how much a coin is worth. 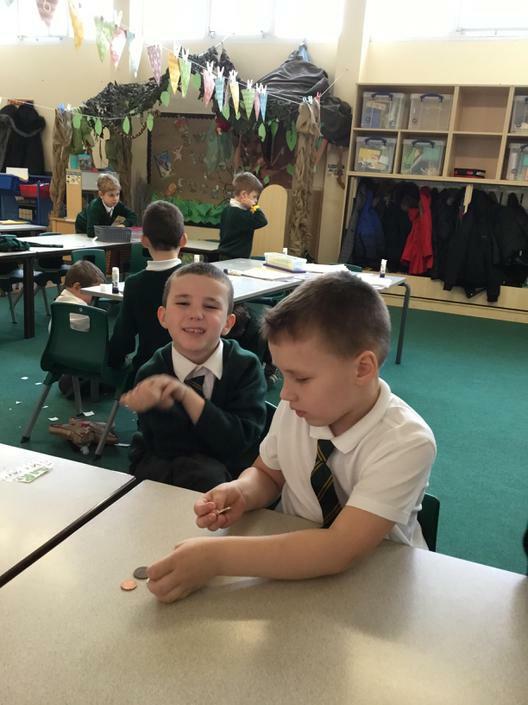 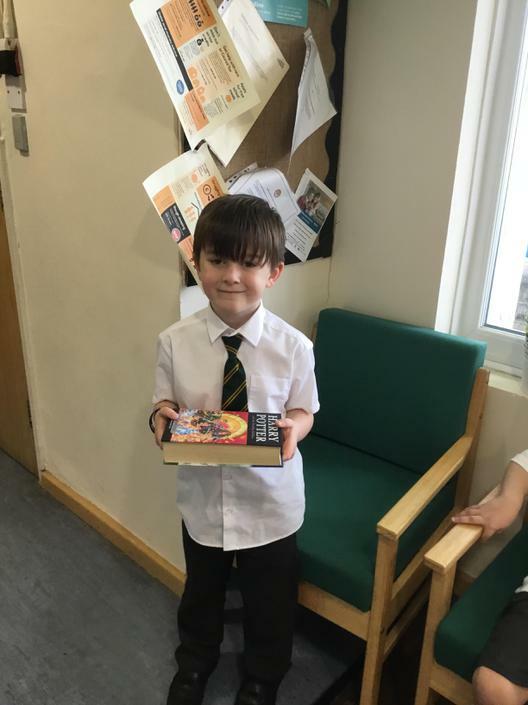 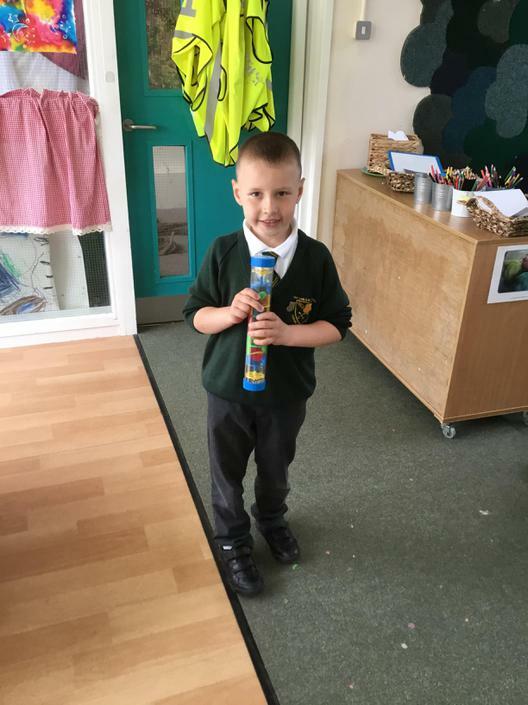 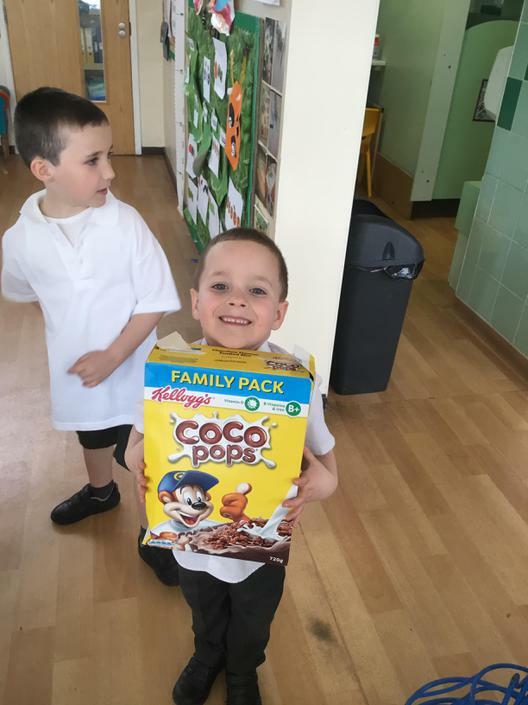 We have also purchased our snack this week using our play money in the classroom! 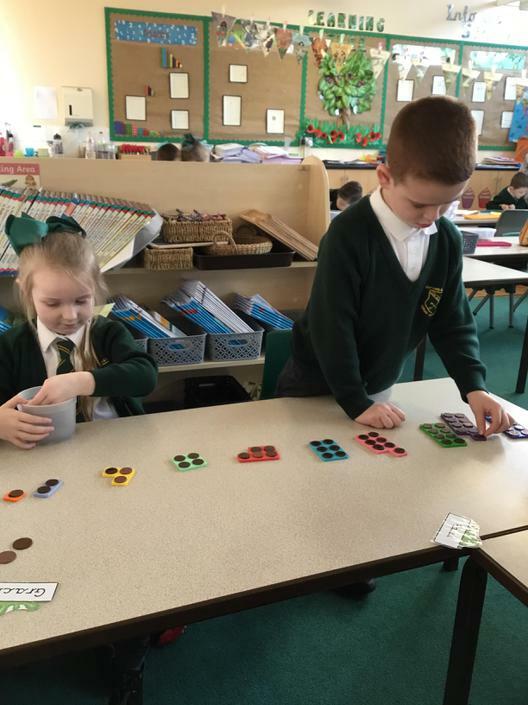 Some super reasoning skills when halving numbers.